What a glorious weekend! Is it really April? We hope you have had a wonderful holiday and are ready to return to school rested and ready to learn. 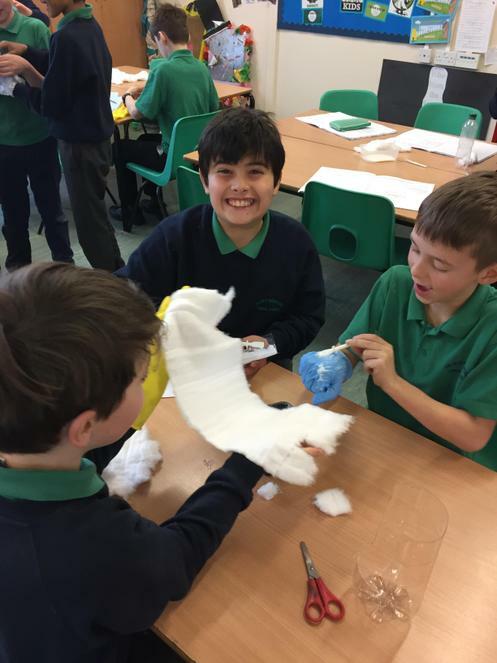 We ended our Spring term with several lessons about the Ancient Greeks; we thought about democracy whilst debating whether we should rebuild the Parthenon, and designed our own Ancient Greek Top Trump cards which produced some interesting characters! In Literacy, we completed our fight scenes between Theseus and the dreaded Minotaur. There was more work on fractions in Maths. The Methodist Church, who taught us the story of Easter and gave us the opportunity to reflect on the events building up to Good Friday and Easter Sunday, warmly welcomed us. It was also Parents’ Evenings and it was lovely to be able to catch up and share how well everyone is doing. We are starting our new Local History topic tomorrow – there may be some unexpected changes when you arrive in the morning! In Maths, there will be some more work on adding and subtracting fractions and some revision of angles and shapes. 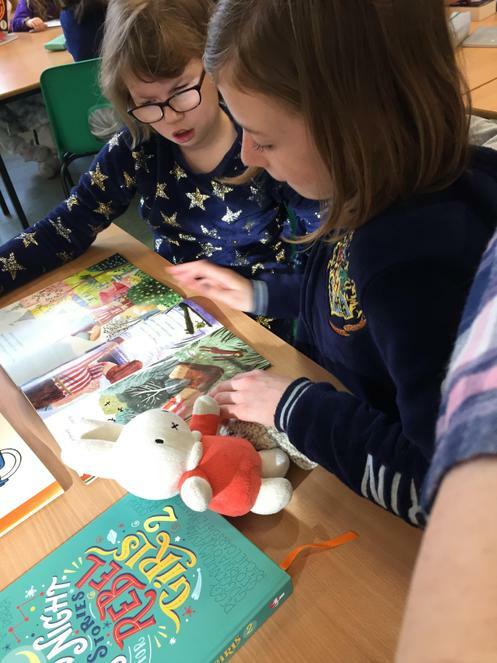 The children will be undertaking an independent writing task in Literacy and will be starting a new book with Mrs Cresswell, Mrs Lewis and Mrs Dix. In Science, we are going to be learning about levers. Enjoy the rest of the day and see you all tomorrow! Good morning, everyone! A brief catch-up today as the teachers are busying themselves preparing for Parents’ Evenings next week. There was yet more fractions, decimals and percentages work in Maths this week and we tackled ordering fractions with different denominators - Mrs Cox’s brain is still hurting! In Literacy, we prepared for and began writing a fight scene between heroic Theseus and the terrifying Minotaur. We continued our investigations into whether the story of the Trojan Horse is founded in truth. 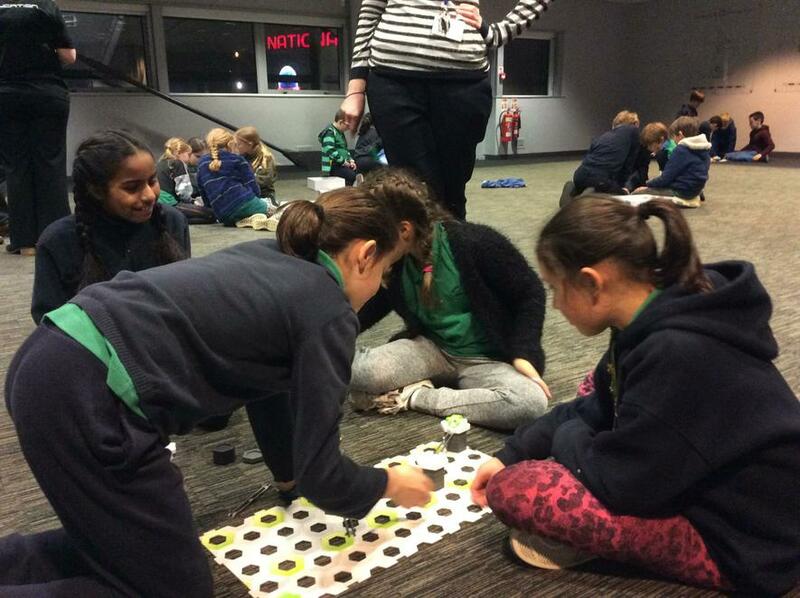 Netball and lacrosse kept us active (some of us are still working off the cakes from last week’s RND sale), and there were lessons in using Hopscotch and pilgrimages to Jerusalem – though not at the same time. Congratulations to this week’s Learning Champions: Ruby, Travis and Ryan, and to our Year 5 award winners: Finlay, Leo R, Arthur H, Casper, Samuel and Lana. Don't forget Mothering Sunday on Sunday (funny that!) and to put your clocks forward too. Yeah - we get to get up an hour earlier! Such sunny weather this weekend! I’ve even managed to hang some washing to dry outside! 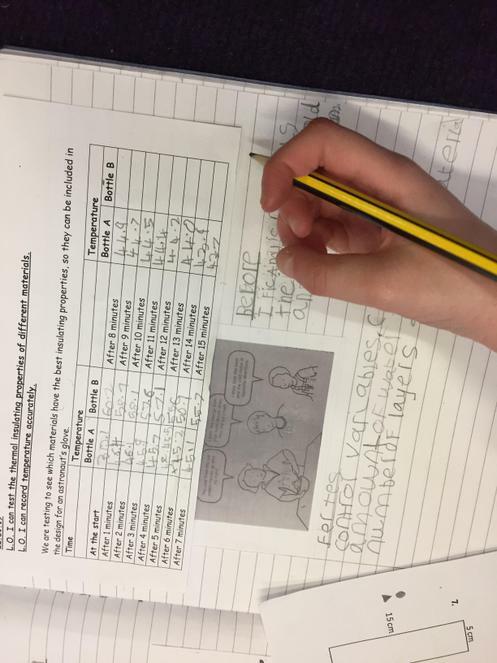 In Year 5, we’ve been busy with mid-term assessments in Reading and Maths, writing descriptions based on Theseus, and learning about the relationship between fractions, decimals and percentages. There have also been lessons in History about daily life in Ancient Greece and the legend of the Trojan Horse; what evidence is there to support the stories? Thanks to the Sun, we made it outside for netball and lacrosse this week. Following on from our SRE lesson, there was a further Q and A session. With a fire practice, rehearsals for our concert and performances next week, and a cake sale, it’s been a busy week at Cottages! 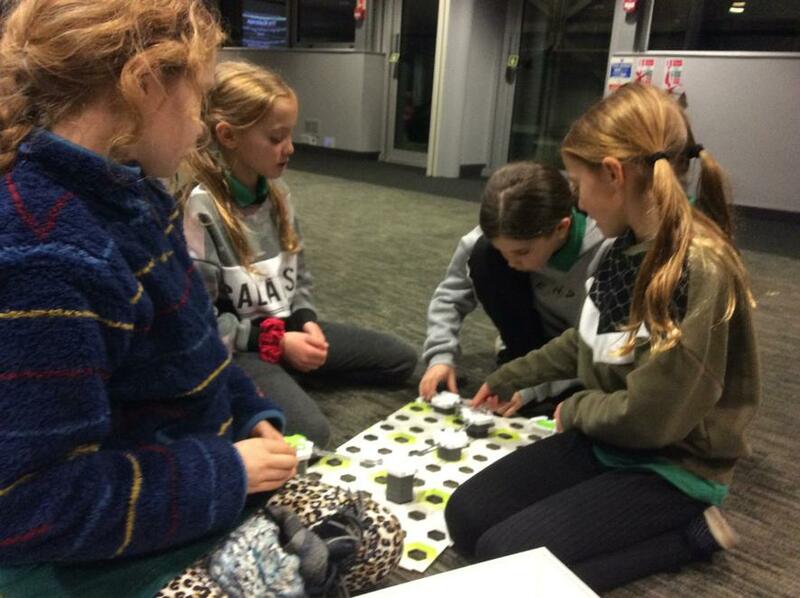 The cake sale in aid of Comic Relief, organised by Emelia, Emma, Evie and Misha, was a huge success. There was much support for the event in the form of cake contributions and sales and the team raised in excess of £114 – what a fantastic total! It should come as no surprise then that the 4 girls were recipients of this week’s Year 5 awards. They were joined by Josh, Rose, Reuben and Libbie. Our Learning Champions were Daniel, Sudha and Esmé. Congratulations to all of you. There was more work on fractions this week as we looked at equivalents and how they relate to decimals and percentages. We listened to a version of Theseus and the Minotaur and used it as the basis for writing in Literacy. Our History lesson was focussed on Ancient Greek warfare and, once we had discussed what the soldiers wore and the weapons they used, we heard the story of the Battle of Themopylae. 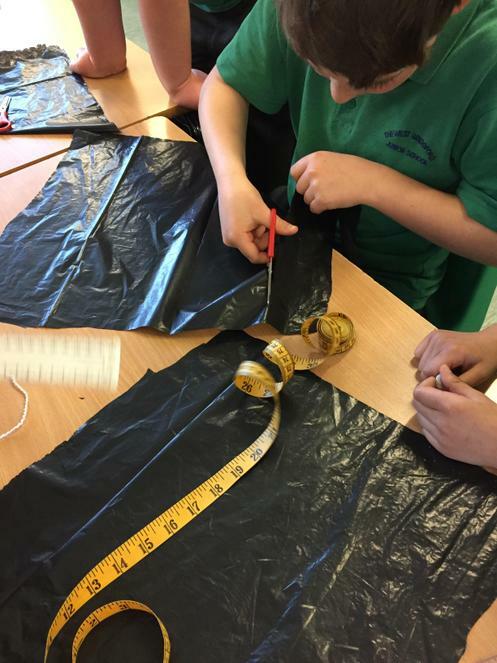 It was Science Day 2 on Wednesday and there was an eco-theme to our work. We spent some time looking at photos showing just a fraction (see what I did there?) of the problems it can cause. After this, we classified the selection of rubbish we’d gathered together in a variety of ways before we went on to evaluate and redesign a piece of packaging for a sandwich. 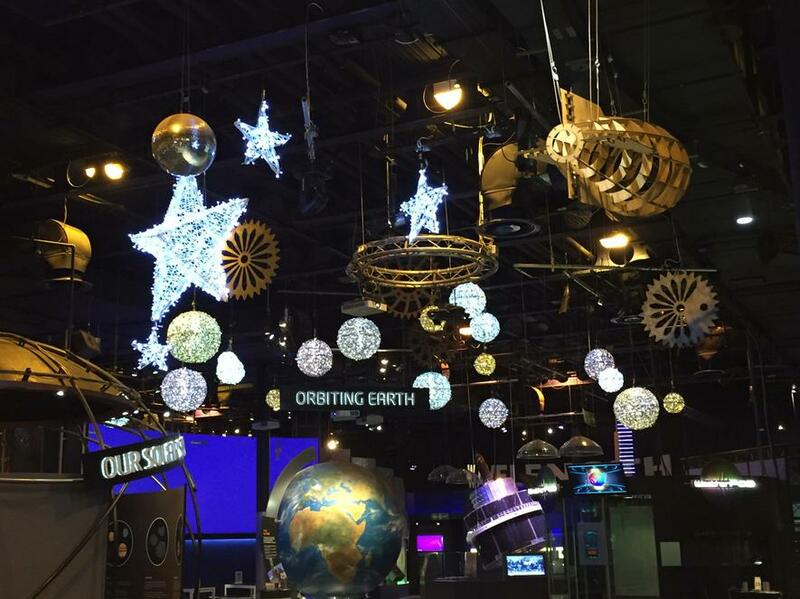 You can see a selections of photos from the day on the Science page of our website. Unfortunately, the bad weather put paid to our PE lessons though it had brightened up in time for lacrosse on Friday. Friday was also, of course, Red Nose Day and the children came decked out in their finest red clothing to show their support. 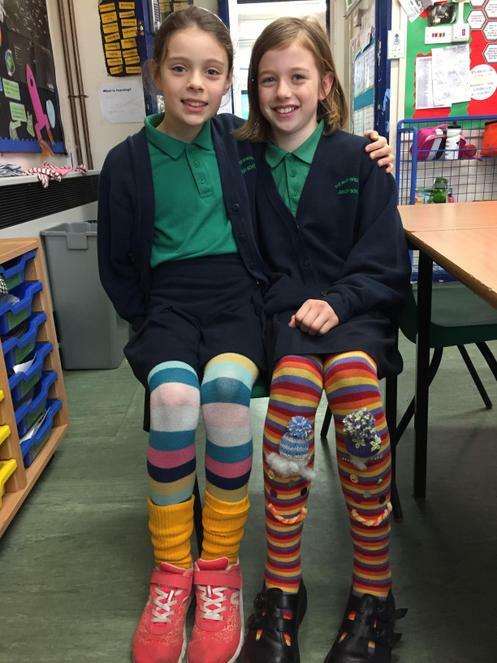 Next week, Emma, Evie, Emilia and Misha are holding a cake sale for Comic Relief, so make sure you bring in some money to enjoy a tasty treat and help a worthy cause at the same time. This week’s Learning Champions were Emma CB, Miles, and Livia and our Year Group Champions were Callum, Arthur B, Mary, Rufus, Lucas, and Edie C. Well done, everyone. It’s been a rather wet and chilly weekend; we hope you’ve kept warm. Thankfully, the sun shone long enough for us to enjoy a range of skipping games in PE this week and there were some great achievements, with children managing to actually skip, or run in and out of the larger ropes for the first time – lots of happy faces! As teachers, we were particularly proud of how mature the children were during our SRE lesson this week and there were many sensible questions asked. We will follow up this lesson as soon as we can as we know lots of the children still have queries. 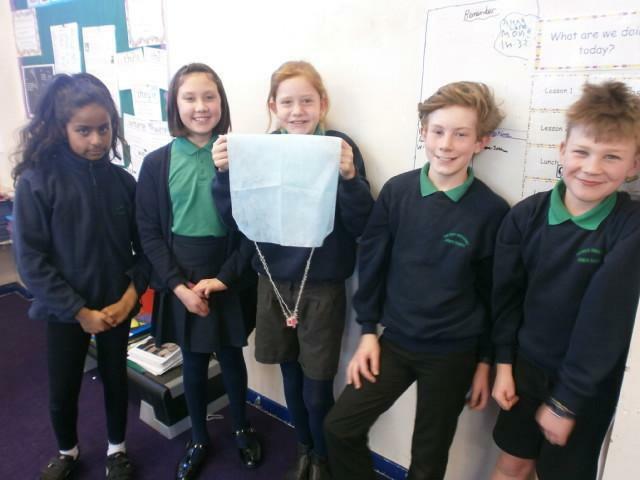 In Science, we drew conclusions from our parachute investigations. In History, we have started another investigation into whether Ancient Greece was just one country. Fractions have been the focus of our maths work. 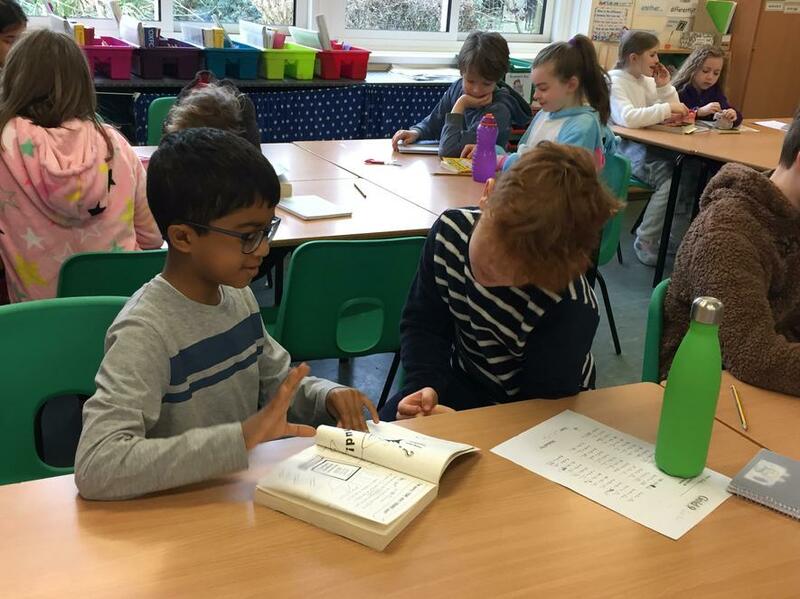 There has been lots of storytelling during the week, starting with retelling different Greek myths to each other and continuing during World Book Day when the children shared their favourite books, and heard teachers telling some of their favourite stories. There are some photos below and on the Latest News section of the website. Congratulations to Class 8 (whoop whoop) for being top of the Spelling Shed leader board once again. 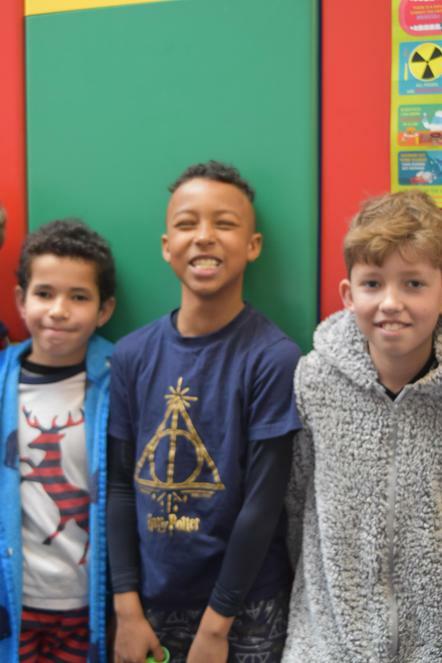 Next week, we’re looking for the most improved class – I wonder who it might be… Bobby, Thanveer and Megan were all recognised as Learning Champions this week and Josef, Edie O, Billy, William T, Saumya, and William R were our Year 5 award winners. A special mention for Alex, whose kindness has been shining through, as the recipient of the Rosie Award for Kindness. Well done, everyone. It’s been a funny old week at Cottages. 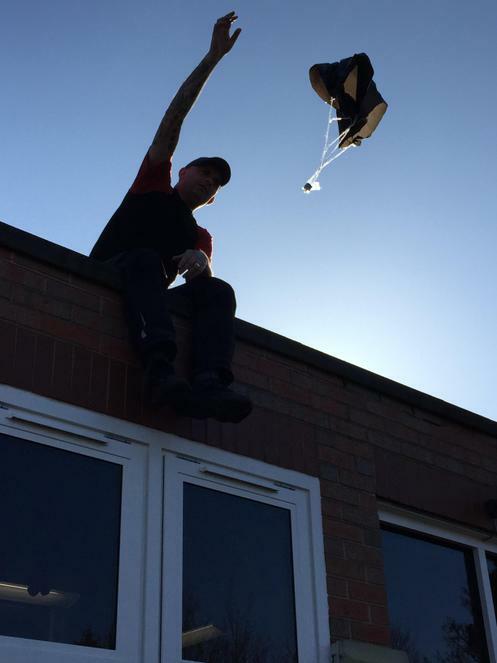 On Tuesday, we were enjoying glorious weather, throwing parachutes off the roof top (to test the effects of surface area on air resistance – not for fun! ), and even venturing onto the grass for playtime. And then it was Wednesday. A slightly soggy Wednesday which also saw the arrival of the diggers to fix the playground. We’re hopeful that normal playground service will resume later this week and that we will no longer need to pack our swimming trunks when we next experience a heavy downpour! In Maths, we started by reviewing what we already knew about fractions in order to reawaken those areas of the brain where facts like to hide. We’re now geared ready for more learning over the next few weeks. 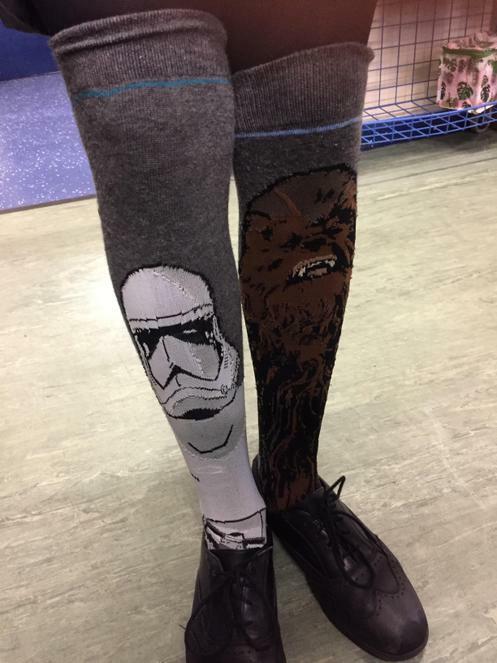 We all, and Class 7 in particular, said goodbye to Miss Goddard on Thursday and she finished her placement with us. We wish all the very best as she returns to Awsworth, her base school. There were no Learning Champions this week due to INSET but our Year 5 awards went to Thomas, Hugo, Holly, Alicia, Joe and Emilia. Congratulations to each of you. 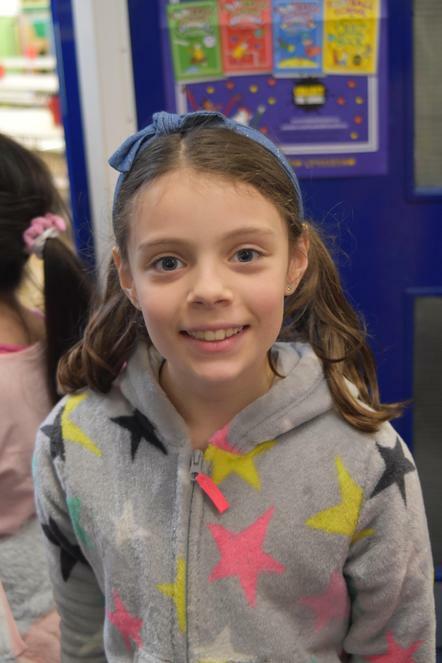 An extra special well done goes to Candela, who was the recipient of the Rosie Award for Kindness this week. Hasn’t the weather been good to us this half term? Hopefully, you’ve had a fun packed and restful week and are ready for the start of a new half term. Our last week was certainly busy. Amongst lacrosse, French, choir, PAG, grammar, and our other usual routine lessons, we solved division problems with remainders and continued to prepare for writing our space reports. In Science, we learnt about why we have day and night (not so tricky) and seasons (a little trickier). We used pencils to create the illusion of 3D form in Art as we turned circles into shadowy ‘spheres’. 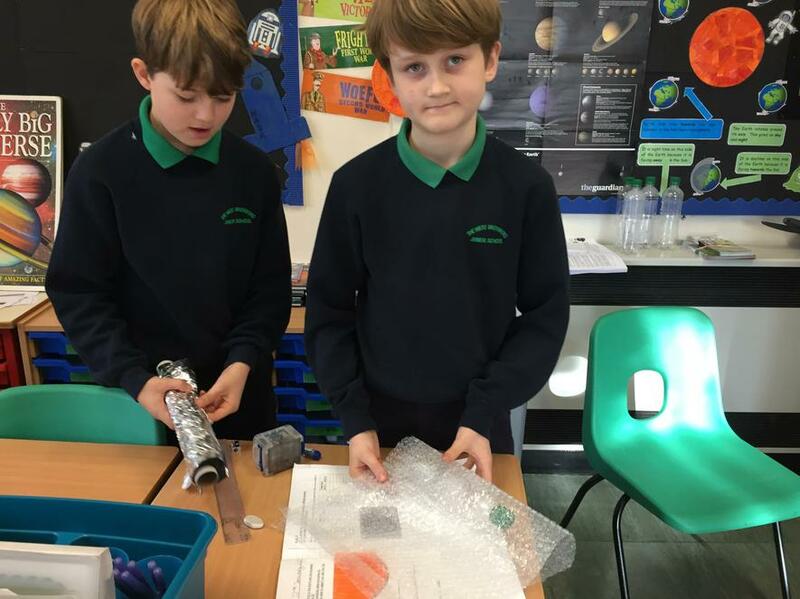 On Wednesday, the whole day was given over to our STEM project. 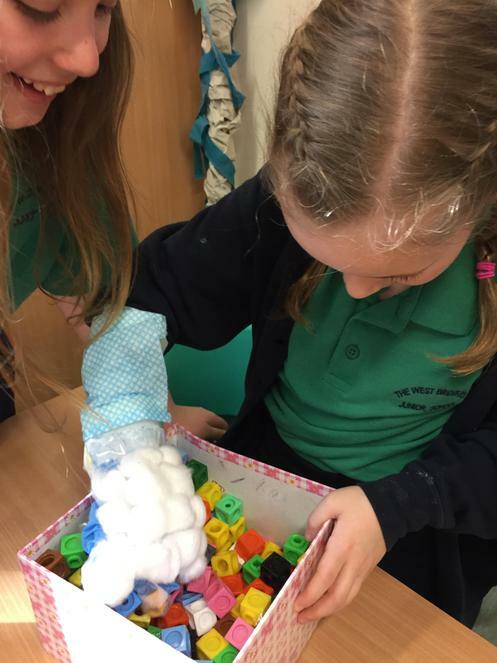 The morning was spent making an astronauts glove and covering ourselves and the classrooms in PVA glue and cotton wool! 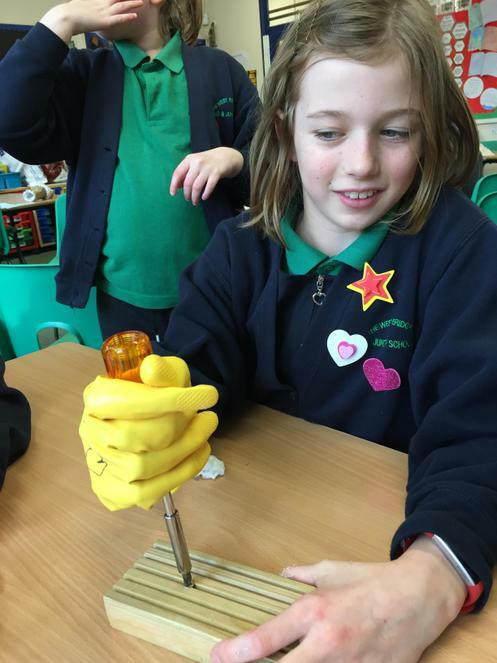 After lunch, we put our gloves through a set of vigorous tests to see if they could withstand the dangers of space! 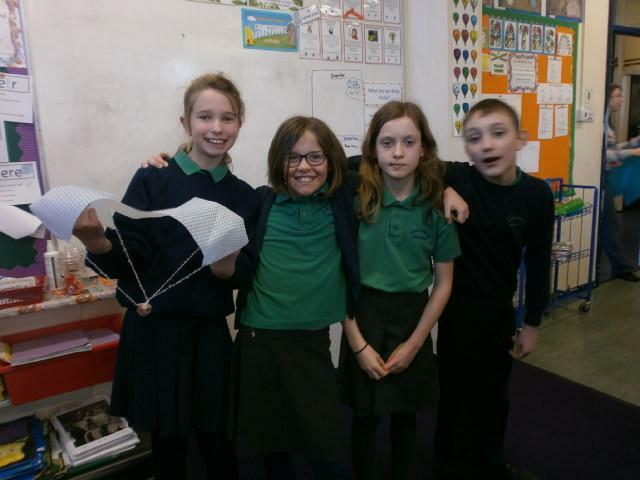 There were some successes but we’re not sure NASA will be contacting us just yet – perhaps a second prototype is needed! Emma L, Charlie K, Tabitha, Alex, Aanya and Alfie were awarded for their efforts in class in our year group awards. Our Learning Champions this week were Sam, Annabelle and Flo. Well done to everyone. A relatively short piece this afternoon. 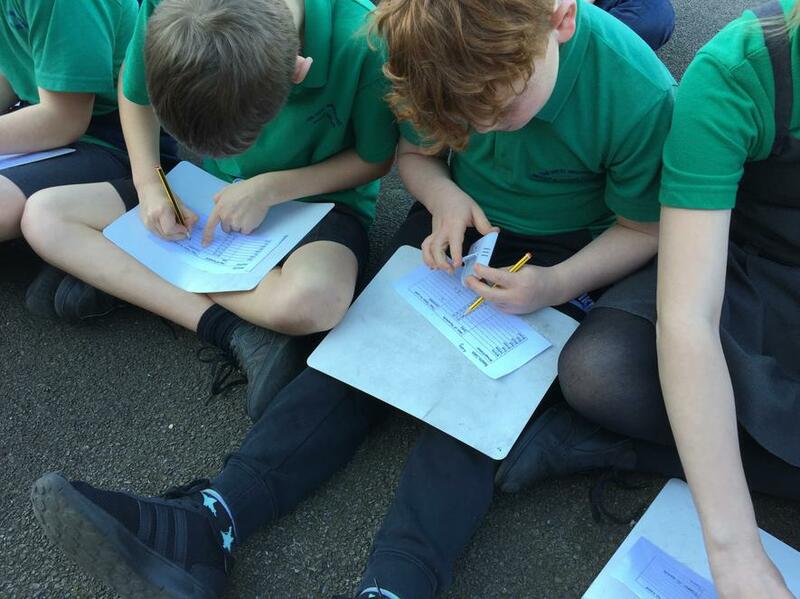 In Maths, we continued to develop our division skills and in Literacy, we made notes about the Moon and other features in space in preparation for writing an information text next week. 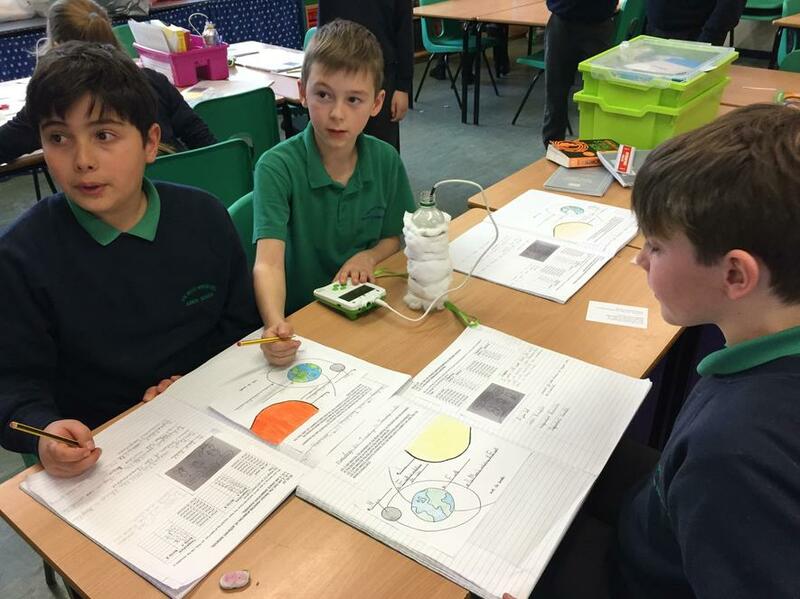 In Science, the children learnt about the phases of the Moon. On Wednesday, we had our last dance session with Jen and our final pieces were performed for Mr Willis, who was most impressed. 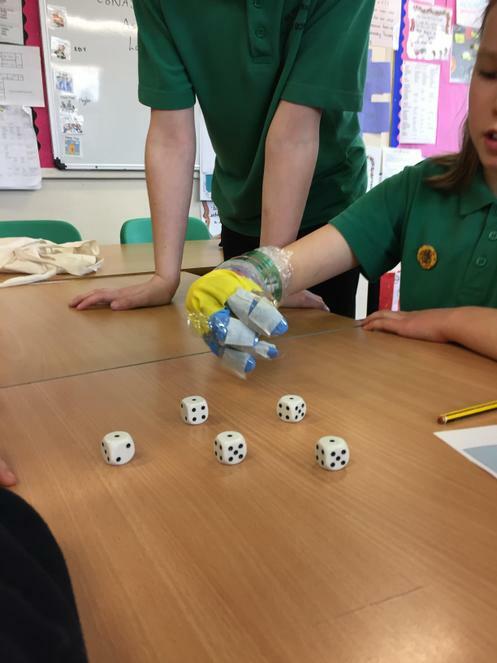 Our micro:bit codes were created and we are hoping to test them next week whilst wearing the gloves we will be making for an astronaut! 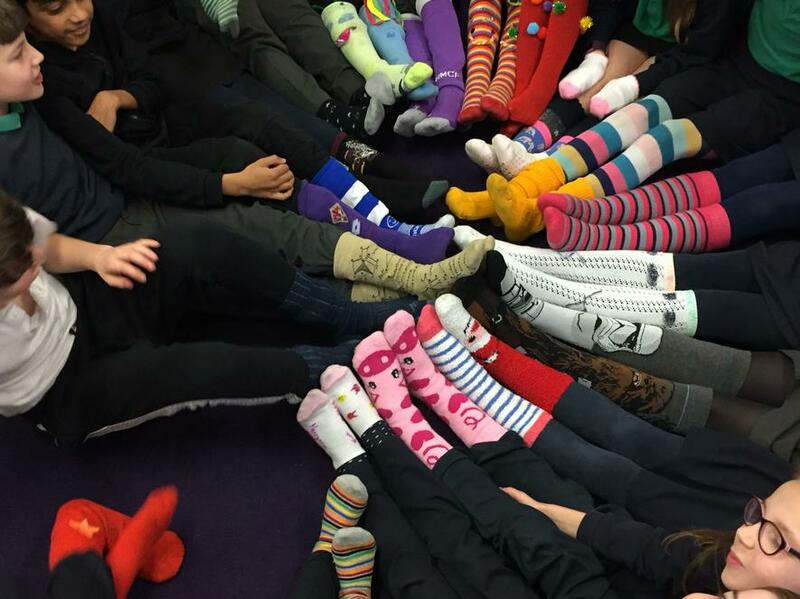 Friday was Sock it to Stigma Day and Year 5 supported the day by wearing their finest footwear! There were stripes and spots, slogans and stars and even some ears and eyes on display. Thankyou for standing out and showing that it's ok to talk about our feelings and emotions and showing the importance we understand the importance of looking after our mental health as much as our physical health. Class 8 were crowned Spelling Shed Champions this week - congratulations! Will, Niamh, George S, Elsie, Isaac and Rebecca were awarded our Year Group certificates and Evie, John and Tristan were our Learning Champions. Flora also received the special Rosie Award for Kindness - fabulous work everyone. What a week! 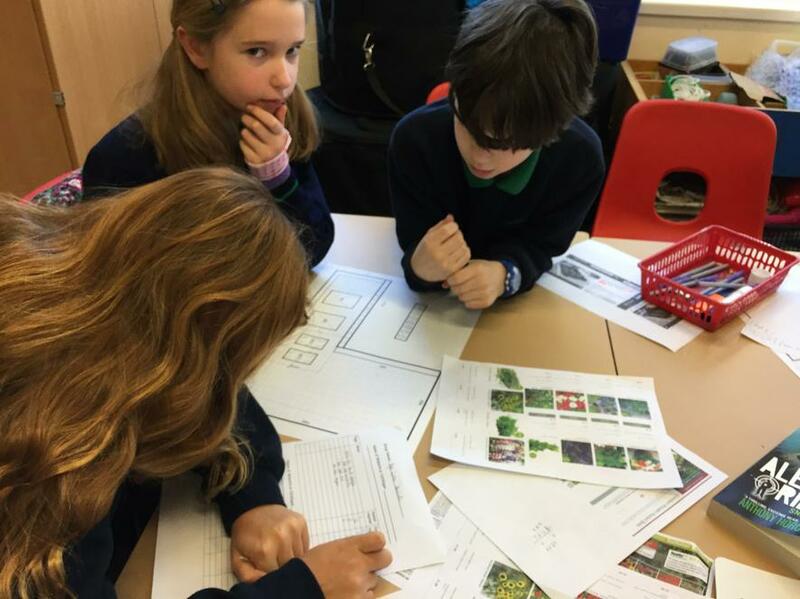 Monday was 'Maths in the Real World' and in Year 5, we decided to base our work on improving the garden at Cottages. Working in teams, we calculated the perimeter and area of the garden and created plans of the space. Then came the shopping! 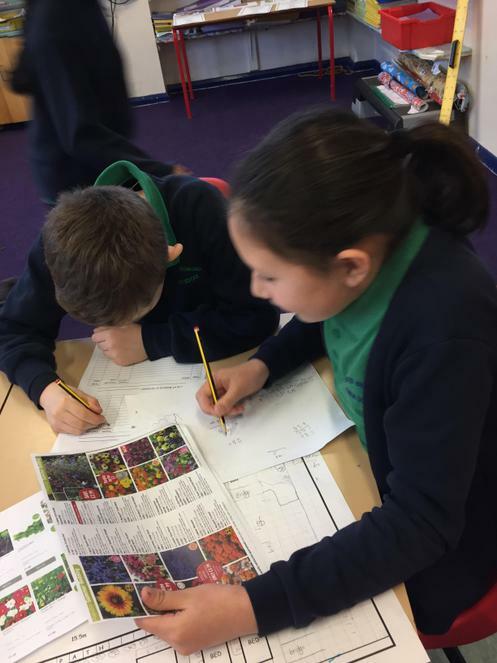 We used catalogue pages and iPads to find the cost of buying new planters, plants, bird feeders, gloves, compost, arches, … everything we might need to improve the garden! 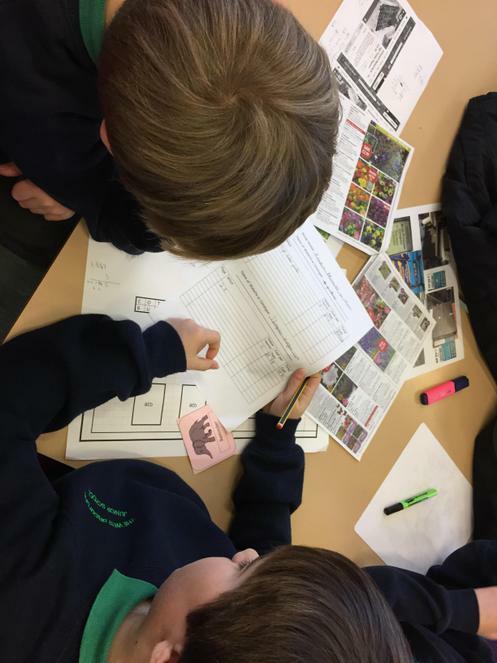 We had to think about the size of the items and put these onto our plan before creating an order form which required us to add and multiply final costs. 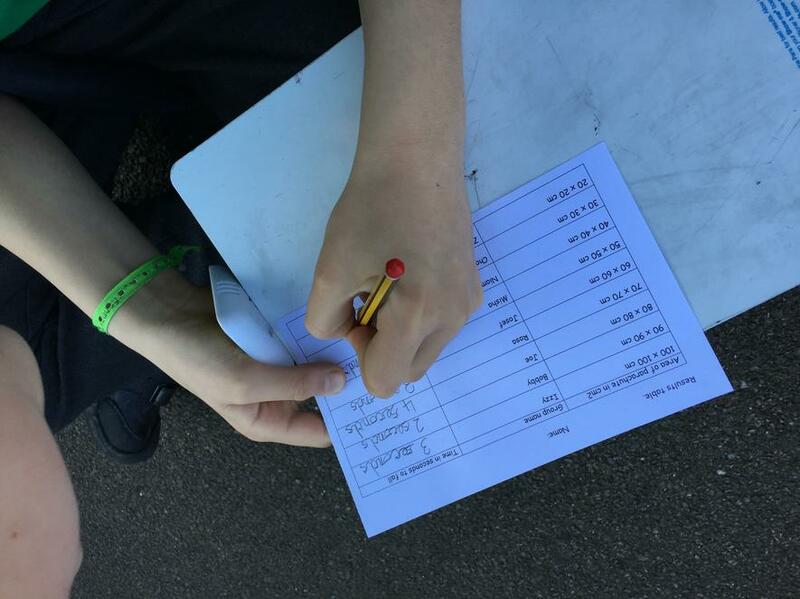 We even found some time to conduct a bird survey to find out which type of food would be best to buy for them. 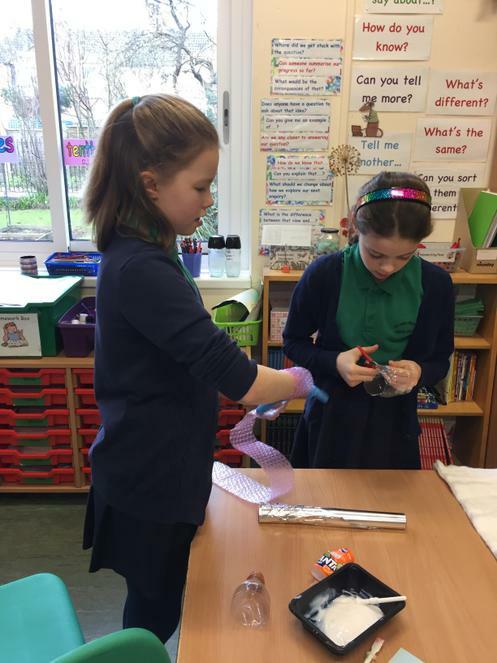 It was back to 'normality' the next day and work began on partitioning numbers to aid mental division, writing news reports and designing our astronaut gloves. There were dance lessons with Jen, lacrosse with Mike and a final chance to test out what micro:bits can do before we plan codes for them next week. 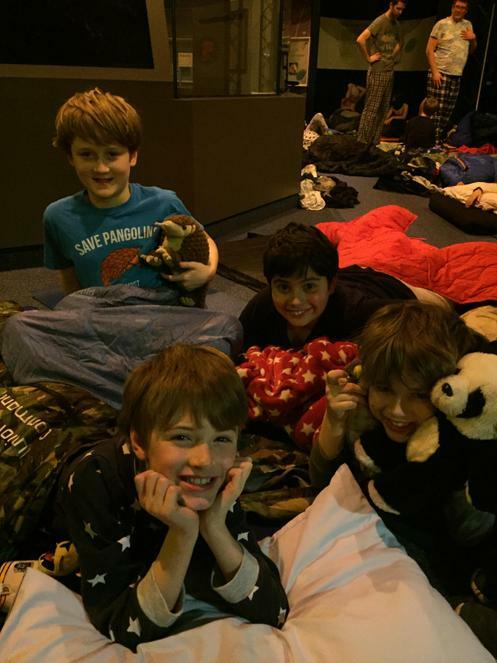 Then, at last, Friday night arrived and brought with it our Space Centre sleepover. With huge bags packed and loaded on to the coaches, we were off. 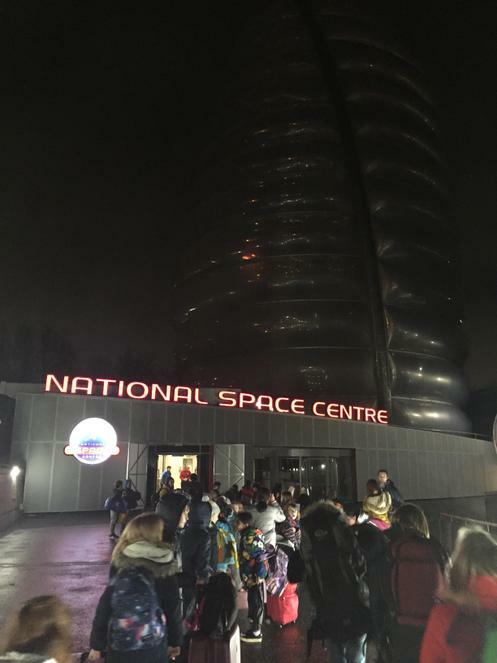 It was a fantastic night; there were planetarium shows, a quiz, a group task which required the children to move fuel slowly from one place to another via bases and rail tracks, and a show about rockets and Newton's Laws of Motion. 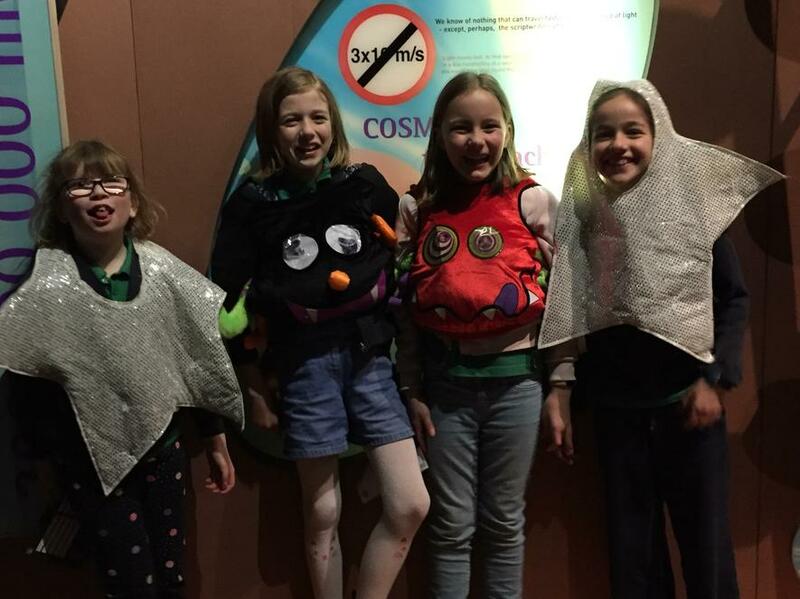 We explored the exhibits, made weather forecast videos and some of us tried on outfits, unperturbed by the fact they were designed for 5 year olds! Surprisingly, after all that excitement, some of us managed a few snippets of sleep before the morning arrived. Before breakfast, we were treated to a final film about astronauts. 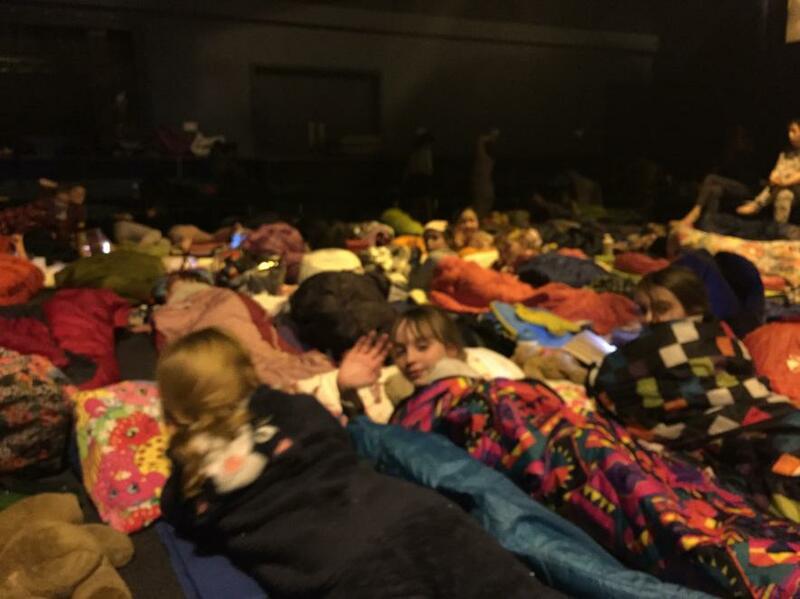 We hope everyone enjoyed themselves and has since managed to catch up with some rest! Our Learning Champions this week were Grace, Elodie and Libbie and Year 5 awards went to Travis, Lucas, Daniel , Anna, Leo R, Thanveer and Finn. An extra mention to Class 8 this week for topping the Spelling Shed table AND for being second - yes second - in the world! Wooooooohoooooo! Congratulations to all of you. Brr! Hasn't it gone chilly this week? 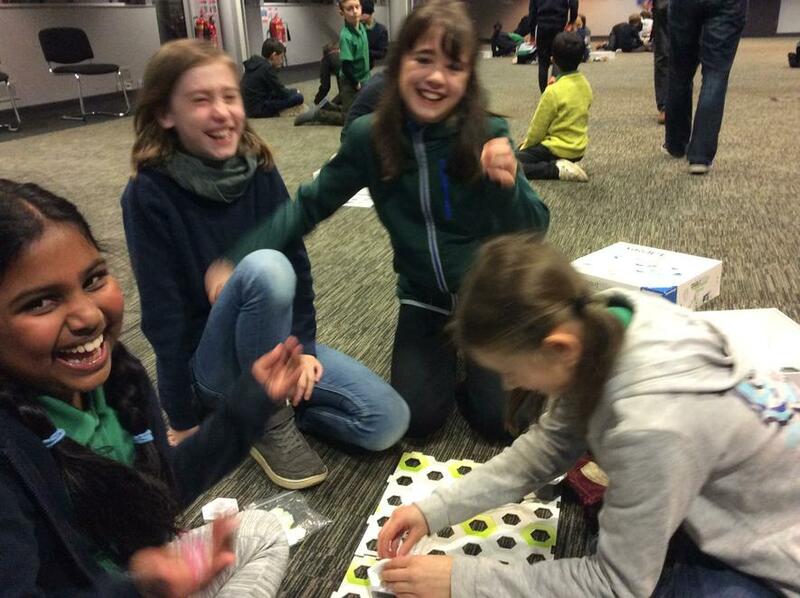 Thankfully, the brain power coming from Year 5 was enough to keep Cottages warm! We started the week with Maths where we put our new multiplication skills into practice as we solved word problems. We then moved on to think about how to visually show the difference between grouping and sharing when answering a division problem. In Literacy, after learning about relative clauses and note-taking practice, we have begun writing newspaper reports about the Apollo 11 moon landing - only 49 years late! 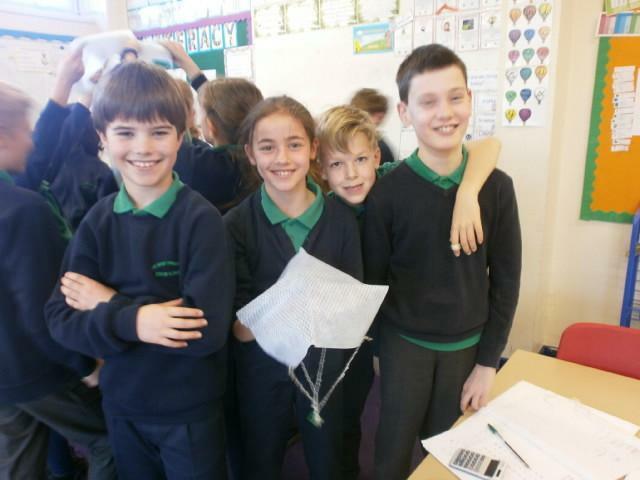 We used role-play to mimic the relative orbits of the Sun, Earth and Moon in Science. 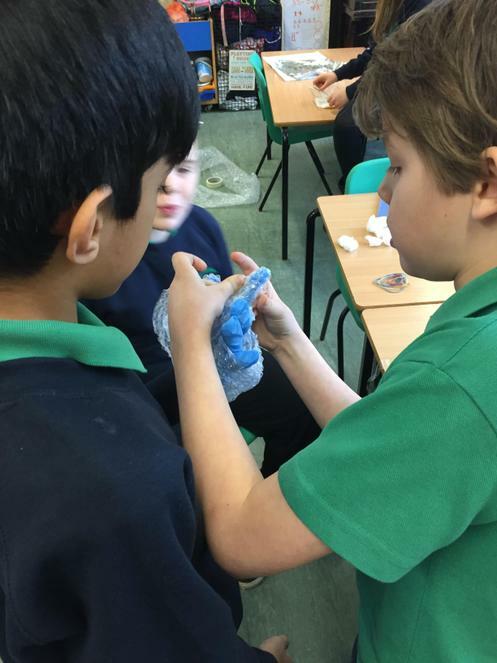 As part of our STEM (Science, Technology, Engineering and Maths) project, we investigated the insulating properties of different materials we could use to make our astronaut's glove. 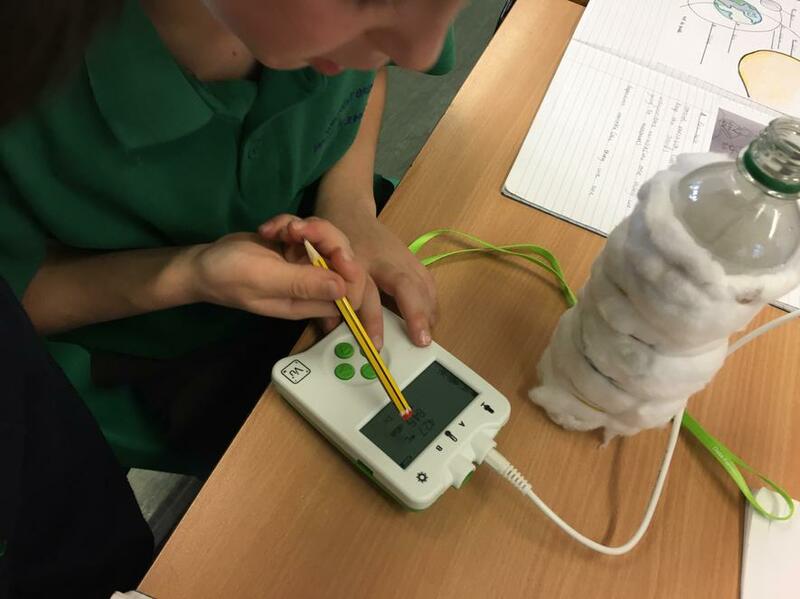 Linked to our STEM work, we successfully programmed our micro:bits to indicate changes in light and temperature in our Computing lesson. There was another dance lesson with Jen and a chilly lacrosse lesson with Mike. Lana, Alicia and Casper deserve our praise for being chosen as our Learning Champions this week and congratulations to our Year Group Champions Finlay, Lucio, Gabriel, Beth, Connie and Esme. This week, we have tackled compact multiplication. It certainly required us to draw upon our Professor Perseverance skills as we'd anticipated but we've almost cracked it! We'll be putting our knowledge to the test as we tackle word problems before we move on to division this week. 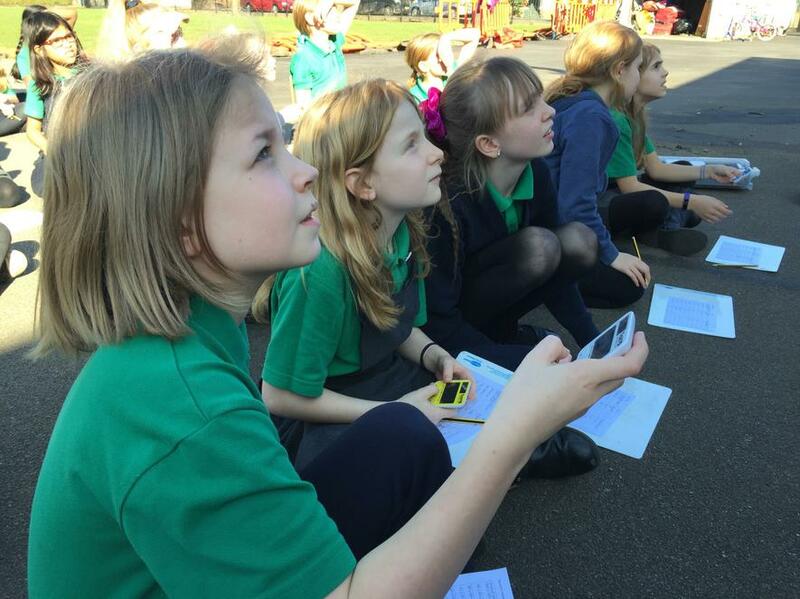 In Literacy, we have been looking at some of the significant events in the Space Race (and sneakily making links with History, Mrs Owen-Jones will be pleased to read) in order to write a newspaper article this week. Our Science lesson was learning the order of the planets in our Solar System and gaining some perspective on the size and scale of the them. The video above certainly had us 'woah-ing' throughout! 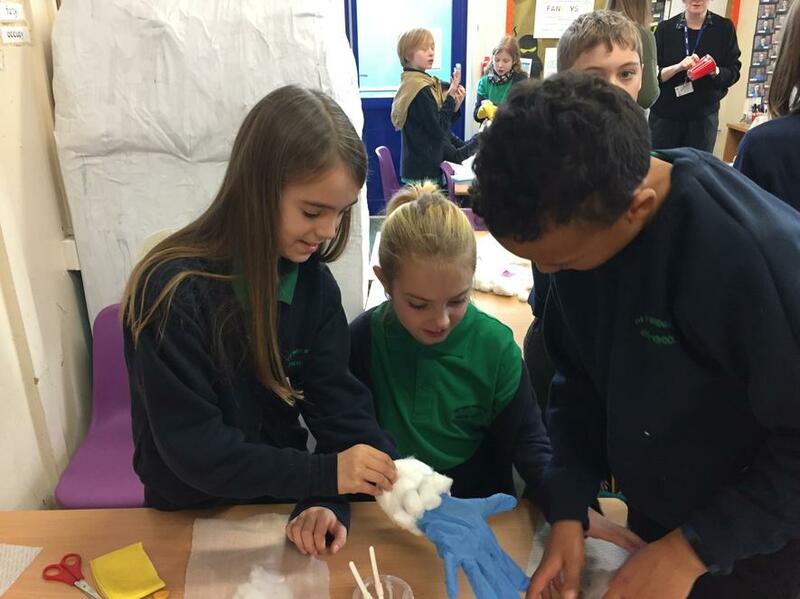 We have shared with the children their DT project for this half term; designing a glove that could be used on a space walk. 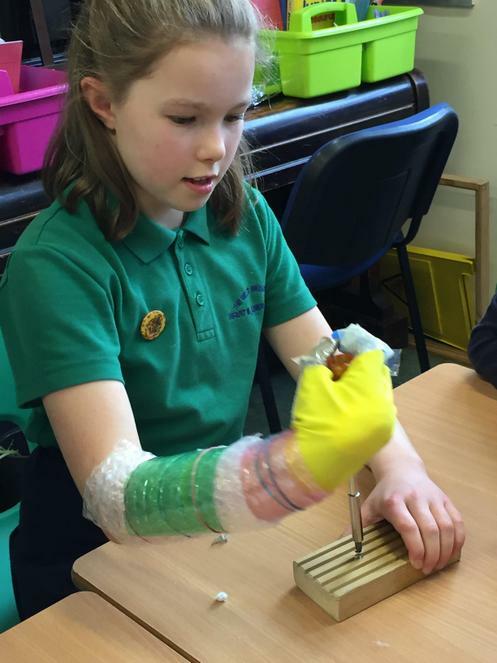 This work will call upon the children to use science, engineering and maths in order to be successful and we'll hopefully put our glove to the test when we try to manipulate a micro:bit to take readings whilst wearing it. 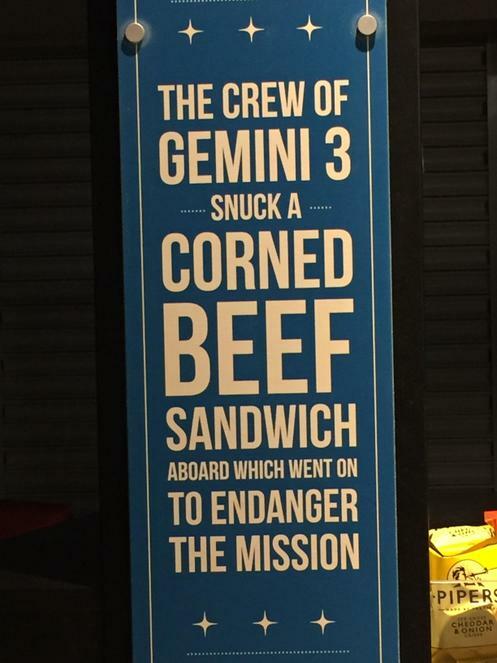 Sadly, this will be at school and not on board the ISS! Rewards this week went to Rufus, George L and Alexa, who were our Learning Champions, and to Sammy, Grace, Tom, Henry, Leo E and Zain as our Year Group Champions. Well done, everyone. 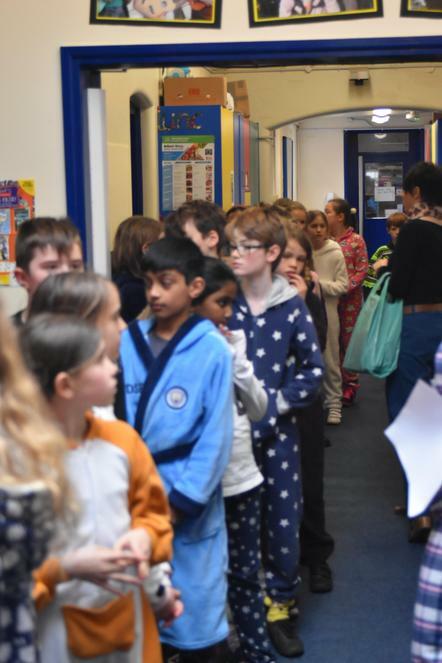 A day earlier than usual - I've had coffee - we bring you Year 5's first week back! 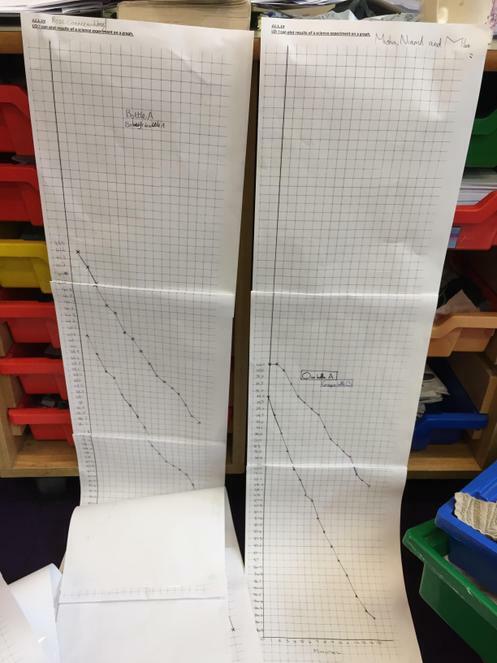 We started the term with a bang (quite literally in some cases) as we launched our Space topic. Monday morning found us chasing balloon rockets around the rooms and corridor. We were testing Newton's second law of motion: the greater the force applied to an object, the greater its acceleration. We discovered that the more air you force into a balloon, the more likely it is to pop. 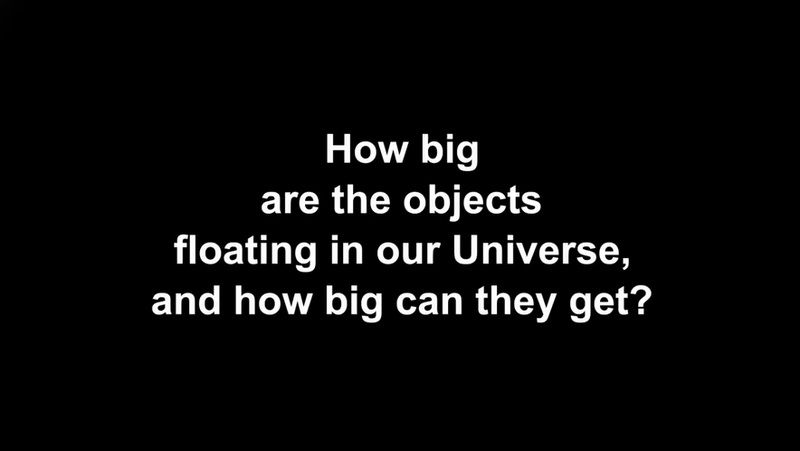 I think that's Newton's fourth law. 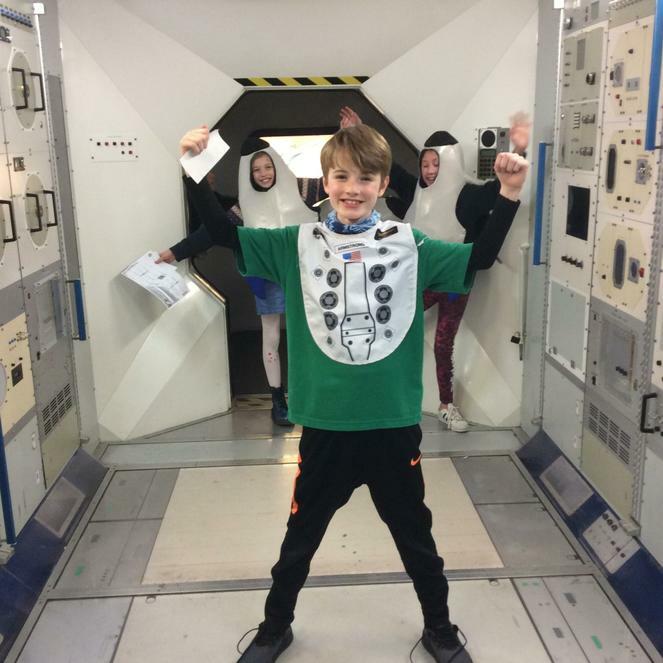 Our Literacy work has been focussed on learning about the Apollo 11 mission and writing as one of the astronauts, using a range of techniques we learnt about last term. In maths, expanded long multiplication (2 or 3 digits x 2 digits) initially proved trickier than finding life on Mars but, by channeling our inner Professor Perseverance, most of us have got it cracked and are ready to move on to compact long multiplication next week. 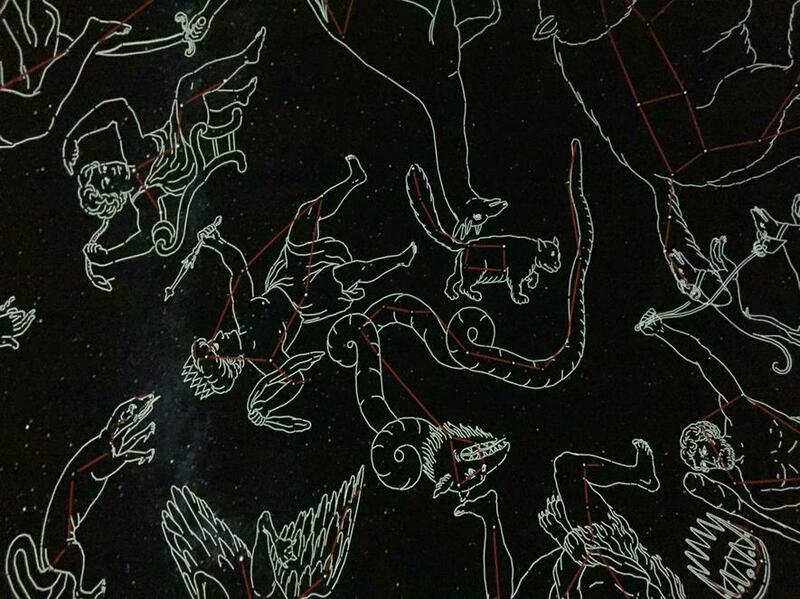 Continuing on the space theme, the children created chalk pictures inspired by the work of artist Peter Thorpe - these should soon be making their way on to the gallery walls at Cottages. 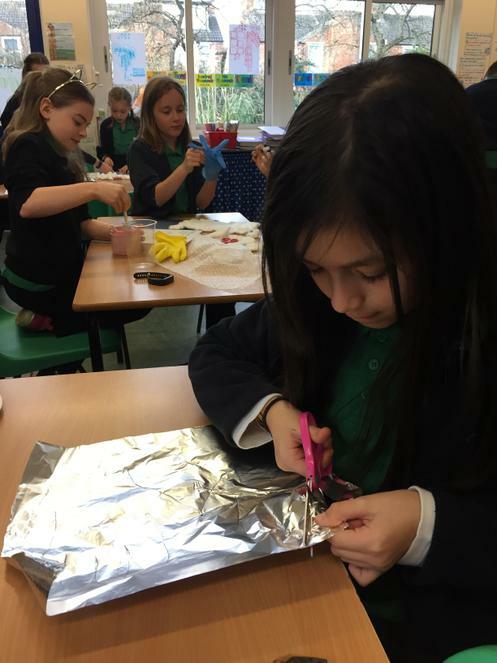 On Wednesday, we refamiliarised ourselves with micro:bits which we will be working with in Computing this half term. We also began our sequence of dance lessons with Jen and our lacrosse lessons with Mike. 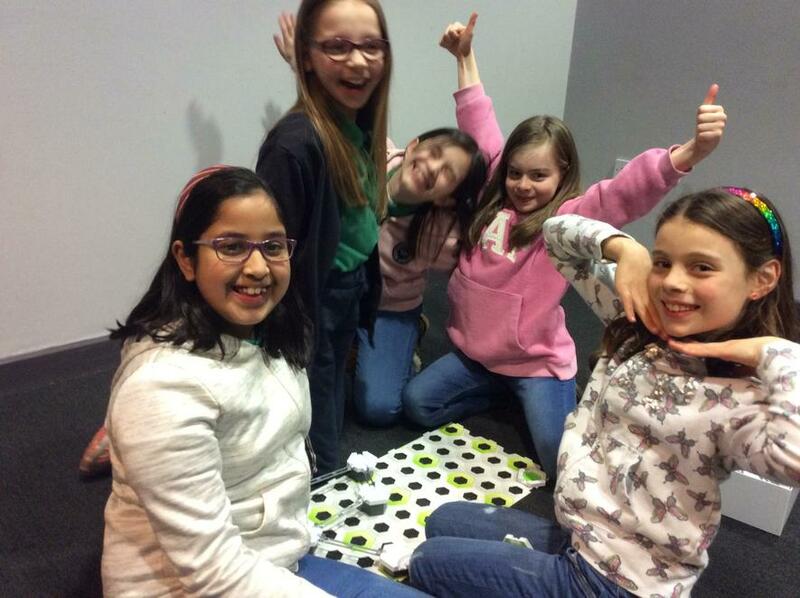 A busy and fun-filled start to our term! Animal Rewards this week were given to Flora, Olivia, Matthew, Misha, Candela and Samuel. Our Learning Champions were Alfie, Rose and Freddie. Congratulations to you all. Happy new year, everyone. We hope you've had a lovely, relaxed but fun-filled Christmas holiday and are ready to come back, batteries charged, tomorrow... Wait.... Tomorrow? I have to set my alarm? I can't wear my pyjamas all day? Noooooooooooooooooooooooooooooooooooooooooooo! It's very late and I've been trying to catch up with some of the many pre-Christmas jobs; decorating the house, sorting out the food for the holiday, buying presents, wrapping presents,... it sounds a bit like one of our production songs. 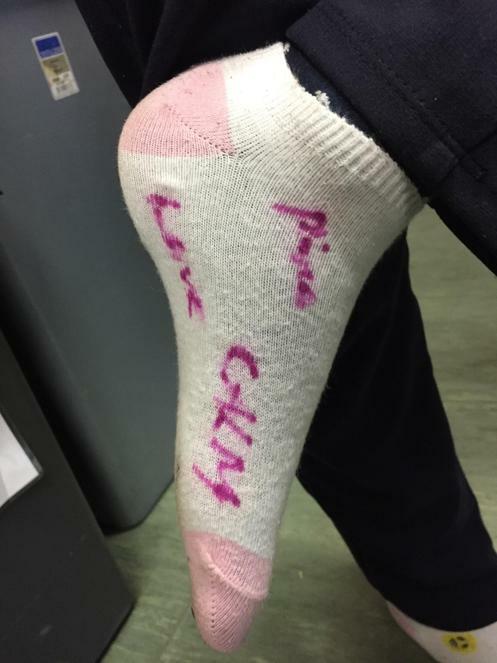 Therefore, this week's blog will arrive at some point during the next few days all being well. See you in the morning. It's finally here - Year 5 Christmas Production Week! We hope you've spent the weekend polishing up your lines, practising delivering them loudly and slowly and, most importantly, resting and having some pre-Christmas fun. Tomorrow, remember to bring along any last minute props and costume pieces. Congratulations to our Leaning Champions of the week who were Mary, Arthur and Reuben. Eeek - One more sleep! Another quick catch up before the Strictly results show - I have no idea who's going to go tonight! It was great to see so many of you at the Christmas Fair yesterday and, if you haven't heard, the best hamper prize was won by.... drum roll please.... Year 5 - Yippee! Congratulations everyone and well done on your efforts! Work wise, we carried on working through mental calculation strategies and had a quick reminder about how to estimate angles and measure them with protractors. Next week, we move on to written calculation methods for solving multiplication problems. In Literacy, we have been writing a narrative about travelling through the Amazon, discovering what X on the map was and coming face to face with an explorer. This week, we are editing our work. There were lessons on Amazonian tribes and we made our Christmas decorations for the hall. Our big focus has been our up-coming production therefore we've spent time running through the scenes and creating the props. One week to go - eek! Congratulations to our Learning Champions Eleanor, Edie C and John and to the Animal Award winners: William R, Isaac, Lucinda, Finn, Misha and Josef. Right, off to bite my nails - keep dancing! It's only a short piece today as Doctor Who is on! 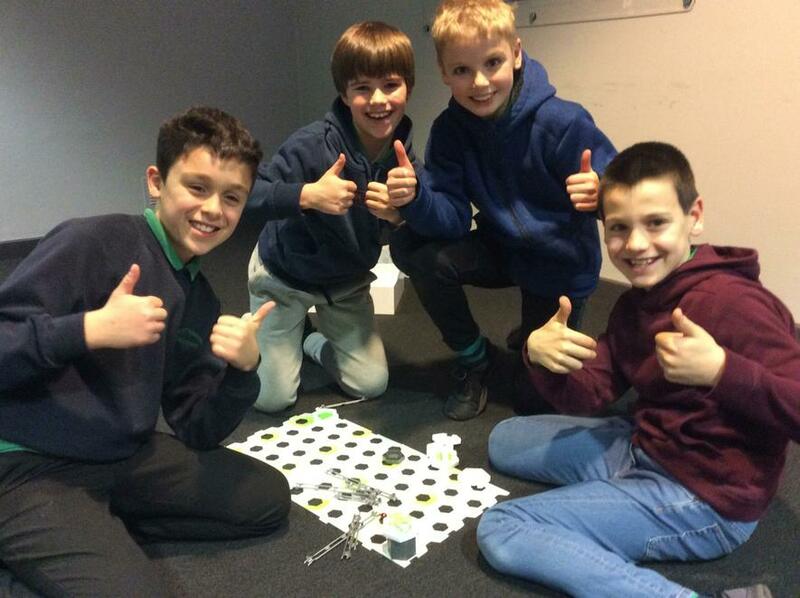 This week was filled with production rehearsals, art activities and our final (sniff, sniff) Paceball session. The children are continuing to impress with the delivery of their lines and their learning of the many songs; the next stage is to belt them out! In Maths, we focussed on mental strategies we could use to solve addition and subtraction problems and in Literacy, we worked on describing characters. It was lovely to see so many of you coming along to the Arts Exhibition on Thursday evening. There were lots of lovely comments about your work and we hope you are proud of what you achieved. Well done to our Learning Champions this week who were Andrea, Joe and Arthur B; great job everyone. Phew! That was quite a week! We had a marvellous morning on Monday as we spent time with Jon, Louise and Mark who told us all about their different careers in engineering, project management and anaesthetics. It was a fantastic opportunity for us all to learn about the world of work; huge thanks to all three of you for giving up your time. We tackled column subtraction on Tuesday and applied our skills to word problems later in the week. 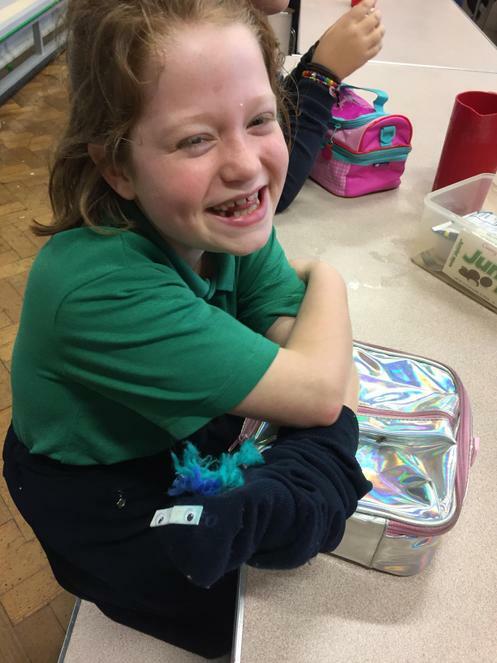 On Wednesday, we were met with the shocking news that Susie Celery had been kidnapped from Class 8. Fortunately, it was also Science Day so we were able to investigate clues left behind; we found that the mysterious powder found at the crime scene was salt after we observed how it reacted with different liquids, and that the ransom note was written with a certain pen as we carried out chromatography on a range of pens found in the classroom. We also investigated which kitchen paper we should use to clean up the mess left by the culprit. 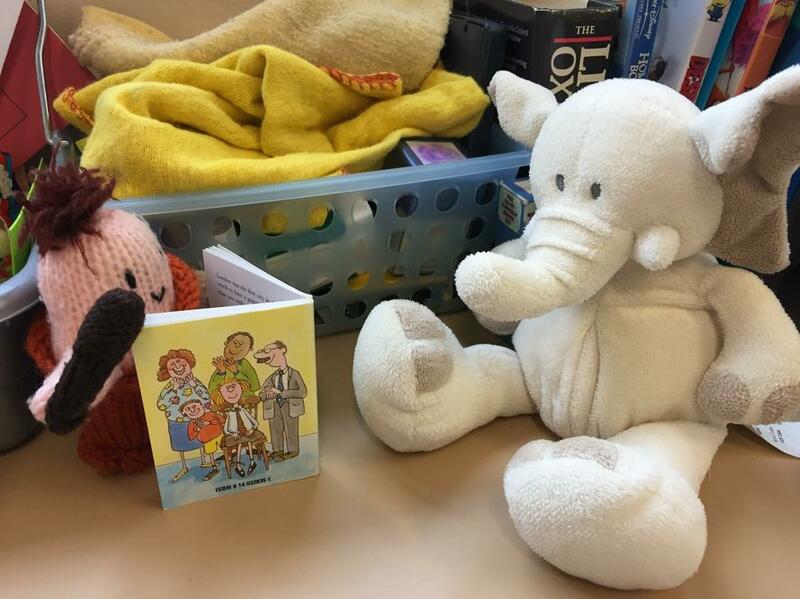 We wouldn't dare name the kidnapper on here (though you can see who we think it was on our Twitter feed) but thankfully Susie was returned to us on Thursday and she has been resting in the staff room. 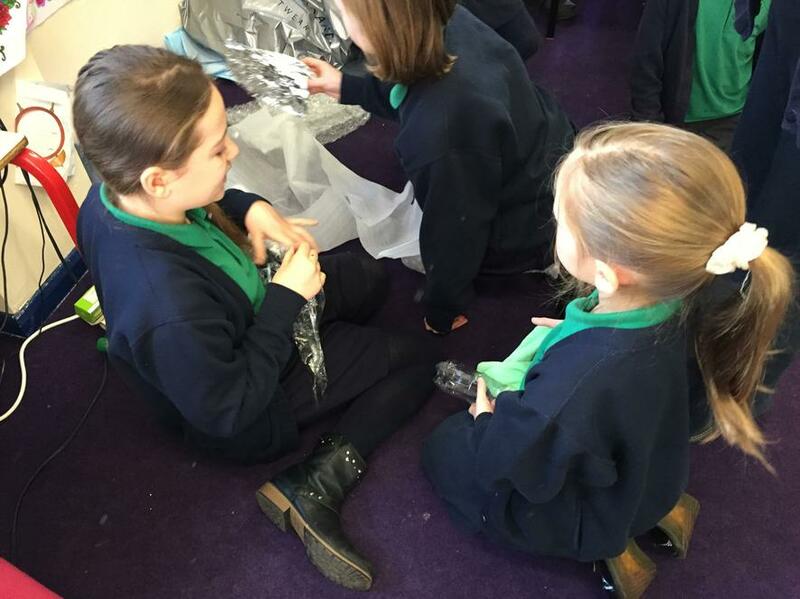 On Friday, the children worked in mixed class groups to think about the messages behind Anti-Bullying Week and there were some great examples of teamwork on show as we worked together to create giant towers. Congratulations to our Learning Champions who this week were Holly, Thomas and Rosa. It was lovely to meet so many of you during Parents’ Evenings and we hoped you liked the opportunity to meet us in our Cottages home. 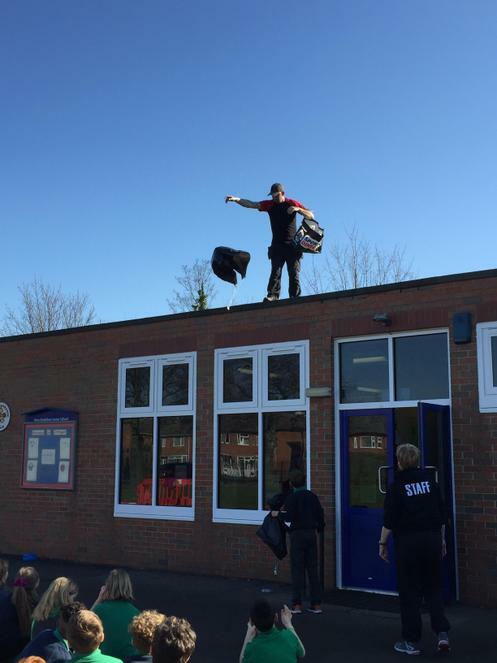 It was nice to be back after our short stint at Main School whilst our new windows, doors and playground were put in. We put the playground to good use straight away with hockey lessons on Monday andpractised our skills in small games. 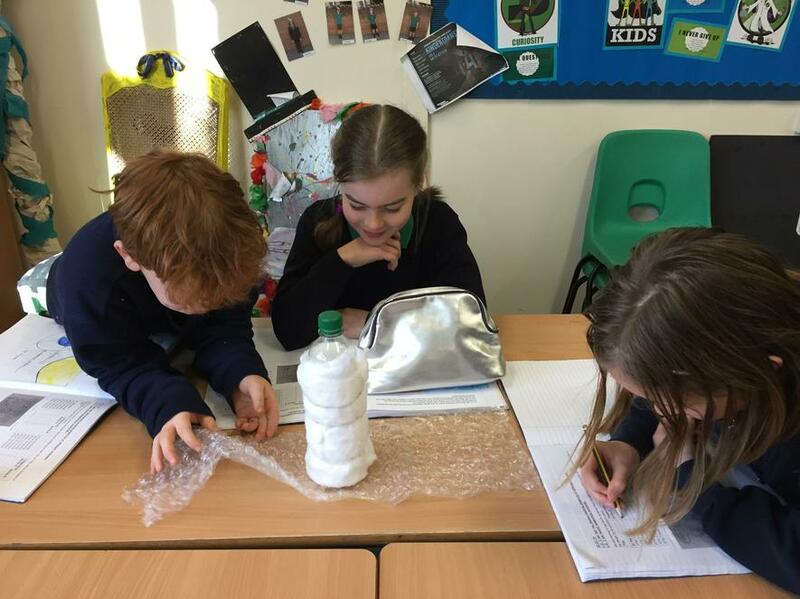 In Maths, the children revised their understanding of column addition and in Literacy, we thought about figurative language and how to describe the senses in setting descriptions. Tuesday was an exciting day as we had the first read through of our Christmas production at the Baptist Church, the venue for our performance; the children did not let us down and loved the opportunity to stand on ‘the’ stage. We have started learning the accompanying songs too and the dancers have started to choreograph their routine! 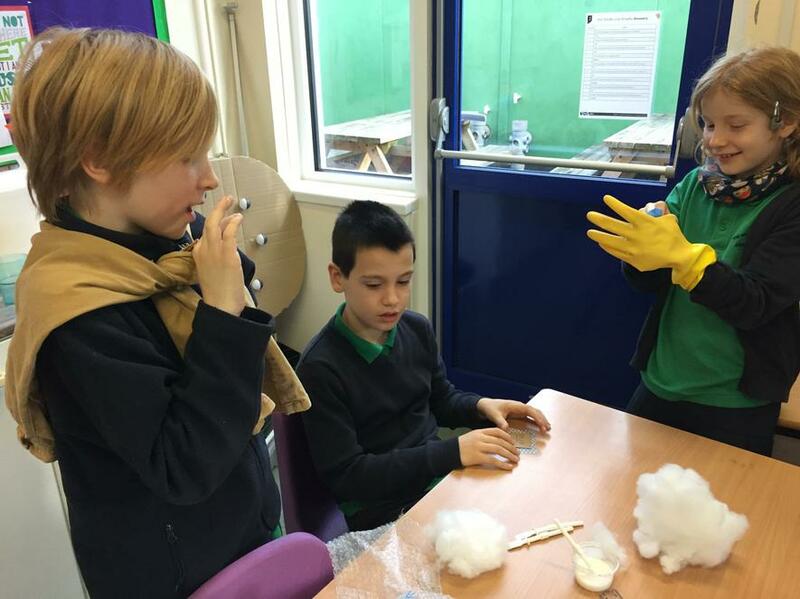 Mrs Cresswell, Mrs Lewis and Mrs Dix introduced the children to the book Cloud Busting which is an amazing story, told through poetry, about friendship. Next week is packed with activities; there’s our Careers Day on Monday, Wear Odd Socks (also on Monday) to mark the start of Anti-Bullying Week, Science Day, and Children in Need on Friday. We might even try and squeeze in a little Maths and Literacy! Congratulations to Dhillon, Beth and Elodie who were this week’s Learning Champions and to our Animal Award Winners: Evie, Sam, Miles, Charlie, Lana and Livia. What a week we had up at Main School. We immersed ourselves in the arts and learnt a little about WW1 as the centenary of the end of the war approaches. 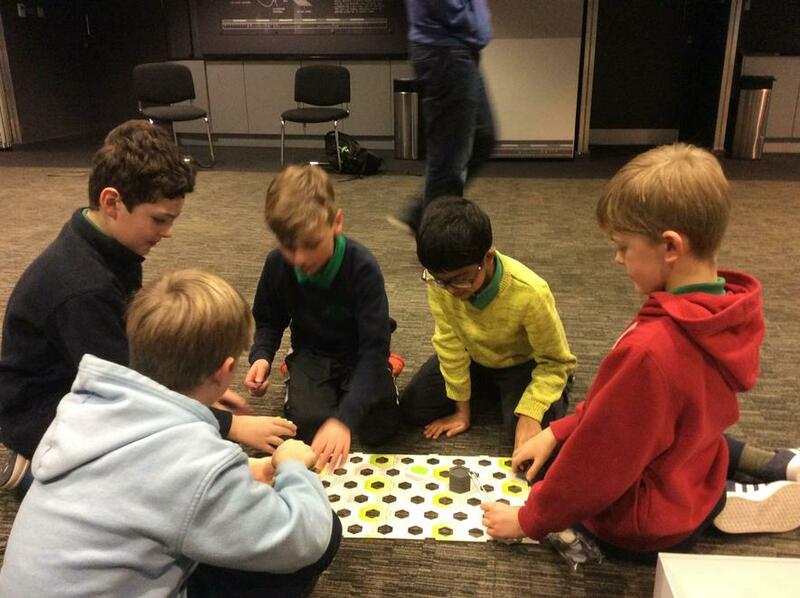 We worked with Ruth Sayers, who delivered some amazing drama workshops which saw the children working in groups to capture moments which may have been witnessed at the start of the war: we imagined conversations families would have had about sending their sons off to fight and the emotions involved. Excellent work was seen across the classes. 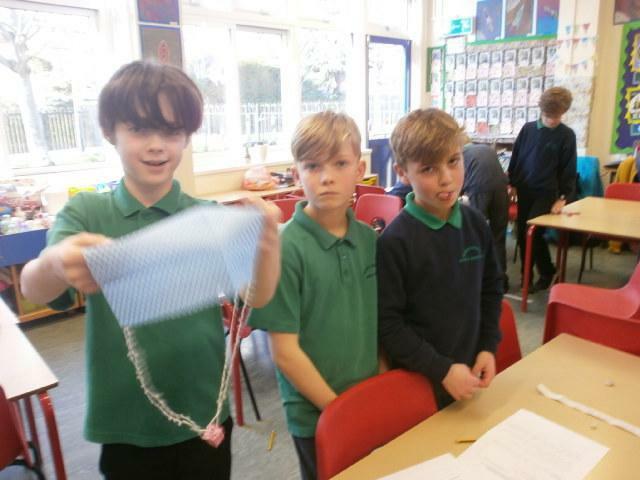 Poppies were created using textiles and we practised our sewing skills. Using recycled book pages, we produced blackout poems on the theme of WW1 and wrote imagined letters home from the trenches. Mrs Blackburn introduced Mars by Holst to the children and worked with us to create ostinato rhythms similar to those heard throughout the piece. There were dance lessons, delivered by Mrs Cresswell, themed around music heard in the 1910s, and there were lots of art pieces created too. 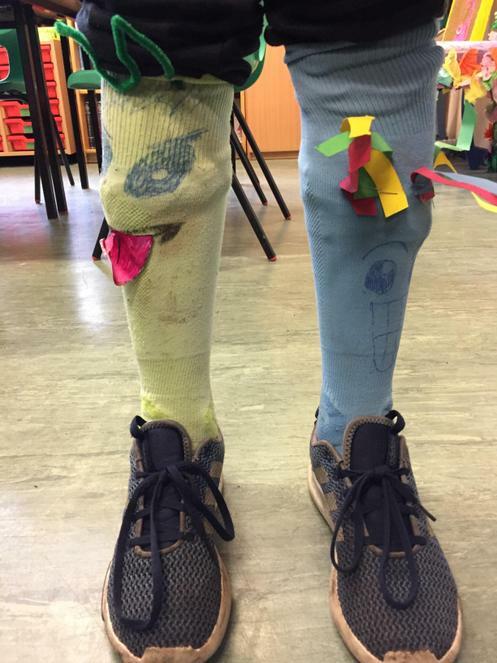 Each class took on a different idea and we can’t wait for you to see our work when the exhibition is held soon. Our work was inspired by the book, Archie’s War, which was written and illustrated by Marcia Williams. We have tried to piece together our work in a ‘scrapbook’ form, inspired by the book which is well worth a look if you ever get a chance. Because we were off timetable (though we still managed paceball sessions! ), there was no Animal Award presentation this week. There was, however, a Learning Champion assembly and congratulations go to Lucio, Sana and Samuel who were this week’s Year 5 recipients. If you're going out to enjoy Halloween or to see any fireworks displays, please be careful and keep safe! See you next half term! It’s been a fairly calm week at Cottages this week. We have continued to work on persuasive writing techniques linked to our book The Explorer – it’s getting good! Would you risk your life by climbing on a self-made raft to make your way along the Amazon River or would you risk staying put beneath the canopy of the rainforest? 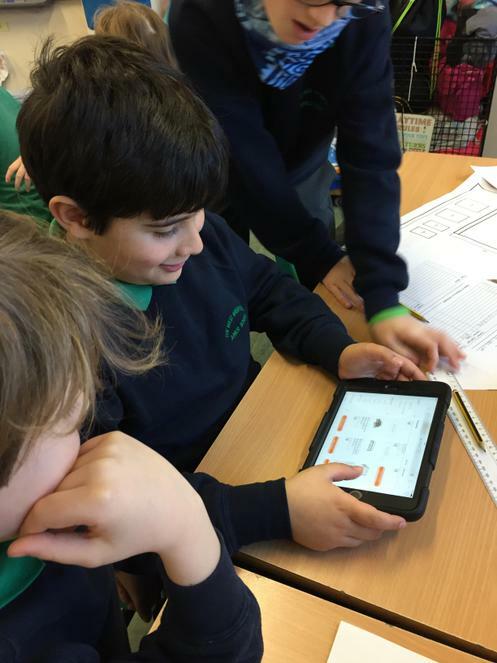 We’ve worked with decimal numbers in Maths; ordering, multiplying and dividing them. 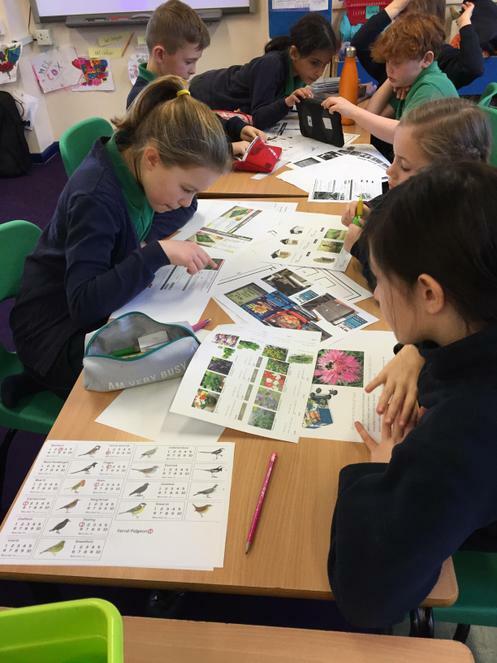 In Science, we wrote simple stories to show our understanding of the life cycle of birds after watching some very sweet videos of baby blackbirds as they hatched, grew and eventually left the nest. 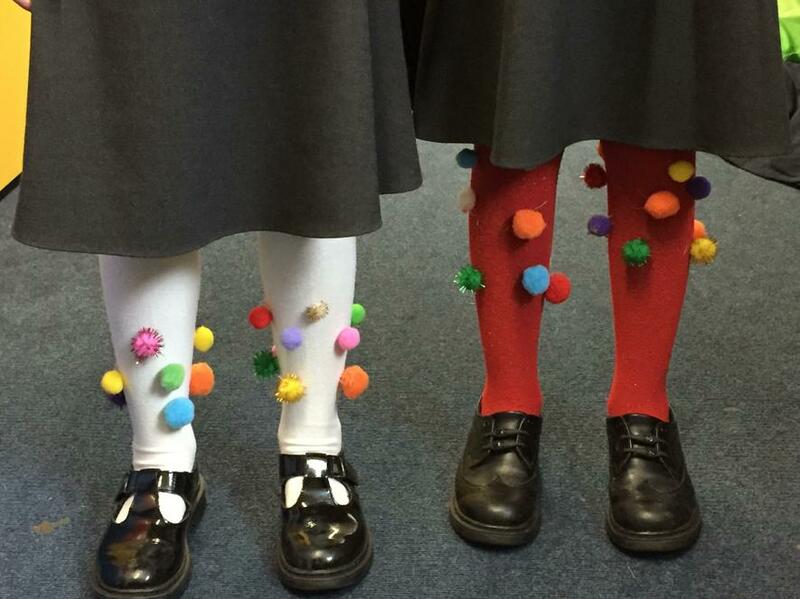 We’ve begun to cast for our Christmas production and have been overwhelmed by the talents in the year group! It has not made it an easy task to sort parts and Thursday night saw the teachers pouring over lists of names in the style of the X-Factor judges! Roles will be announced soon and we already know it’s going to be a great show! Congratulations to the recipients of our Animal Awards: Sam, Ruby, Calum and Libbie, and to our Learning Champions Freddie, Finlay and Emilia. Bravo, everyone! We’ve had a creative week at Cottages. We made fantastic rainforest boxes which show the different layers and animals living within them and hopefully you’ve seen some of the photos on our Twitter feed. We have also been creating different characters and scenarios for the Night Zookeeper team who came to work with us on Tuesday. In Science, we learnt about the life cycle of frogs and how it compares to that of butterflies. We held our class councils to decide on a subject we thought would be good to take forward to our school council; we voted to discuss reducing plastic, reducing the amount of sugar in food and having cooking lessons at school. In the end, our Pupil Parliament representatives raised the issue of helping the homeless – a worthy subject, we’re sure you’ll agree. In Maths, we continued our work on place value, focussing on decimal numbers, and in Literacy, we looked at persuasive features and wrote some convincing arguments for receiving a new pet – watch out for those Christmas letters! Congratulations to our Animal Award winners who were Charlie, Sudha, Izzy, Will and Tom. Well done also to our Learning Champions Flora, Hugo and Josh. 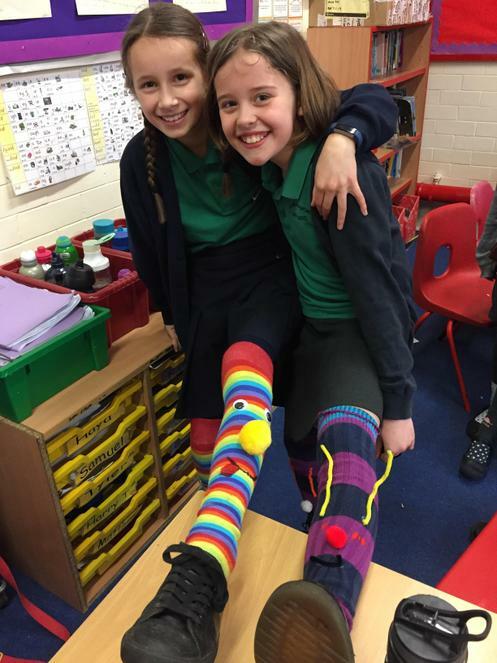 Once again, there’s a lot of colour on this week’s blog; if any of you can tell Mrs Cox why, there is a 3 star award on offer! I feel I start the blog each week in the same way by telling you how busy we’ve been and how hard we’ve been working. Whilst it may sound trite, it’s true and this week has been no exception. In Literacy, we have been getting our heads around different sentence types, what a main clause is and how conjunctions can be used within compound and complex sentences. You’d think that would be enough wouldn’t you but we still did Maths and other things! Maths lessons found us counting on and back in powers of 10 and having to think carefully about what happens when we cross over a place value bridge. 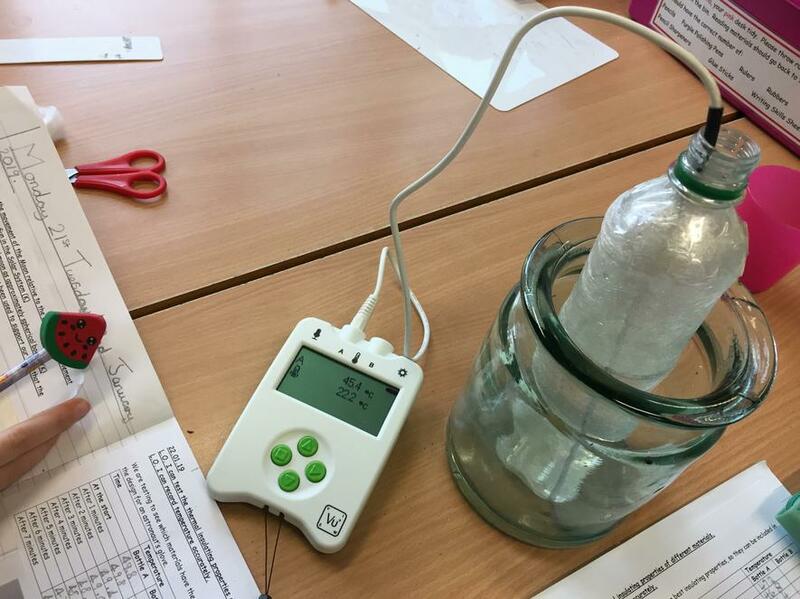 We went all green-fingered in Science as we looked at asexual reproduction in plants and set up several investigations; we planted cuttings taken from different plants, potted up some ‘well-past-their- best’ potatoes and set out a sweet potato in a jar of water in the hope of establishing a root system. We’ll keep you updated. Our butterflies have begun to emerge this week though some, unfortunately, have not survived. A few of our fluttery friends have been released whilst we wait for others to hatch. Hopefully, there will be some warmer days next week on which to release any late arrivals. Individual photo day passed without any hiccups – the children were all smiles so there should be some lovely snaps! To everyone who took part in the Robin Hood Marathon events last weekend; the times looked impressive. To our Learning Champions for this week who were Finn, Anna and Zain. To our Animal Award winners Mary, Alicia, Megan, Henry, Casper, Emma L and Flo. To Class 8 for topping the table on Spelling Shed this week for our school. What a list! Well done to all! There’s a lot of colour on this week’s blog and I may have missed a few opportunities. If any of you can tell me why, there is a 3 star award on offer! How is this the last day of September? Didn’t that go quickly? We’ve reached the end of another week in which we wrote about character’s emotions using the technique of ‘Show not Tell’ and looked at how to punctuate speech correctly. In Maths, we worked with numbers up to a million, rounding them and representing them in different ways. 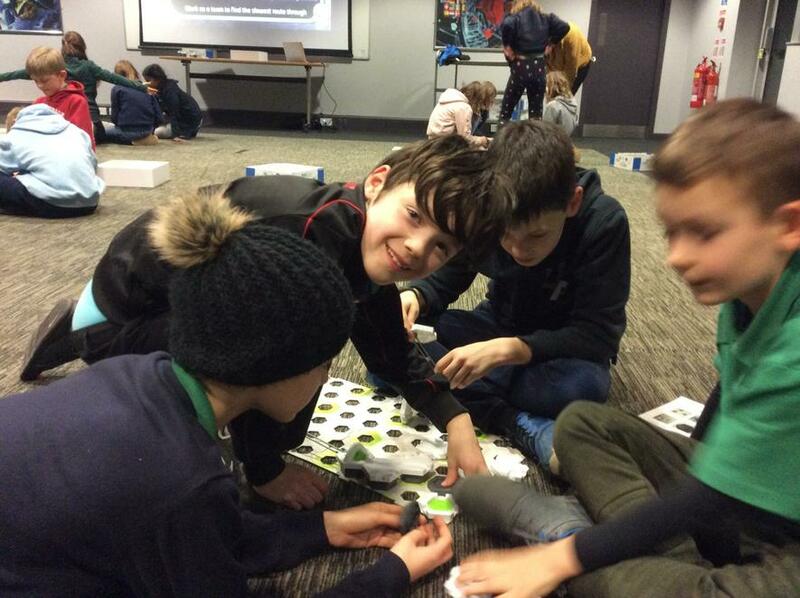 We combined Art and Science this week as we revised how plants reproduce and heard how intrepid Victorian naturalists such as Humboldt headed off into the Amazon jungle and found species of butterflies, insects and plants that had never been found before. Many of them recorded their findings as botanical drawings. This inspired us to paint our own flowers using watercolours and the results were most impressive. Equally impressive are our award winners this week. Well done to our Animal Award recipients: Grace, Thanveer, Annabelle, Alexa, Niamh and Matthew and to our Learning Champions George S, Leo E and Candela. It’s been a relatively quiet week at Cottages – no exotic animal visitors at least! 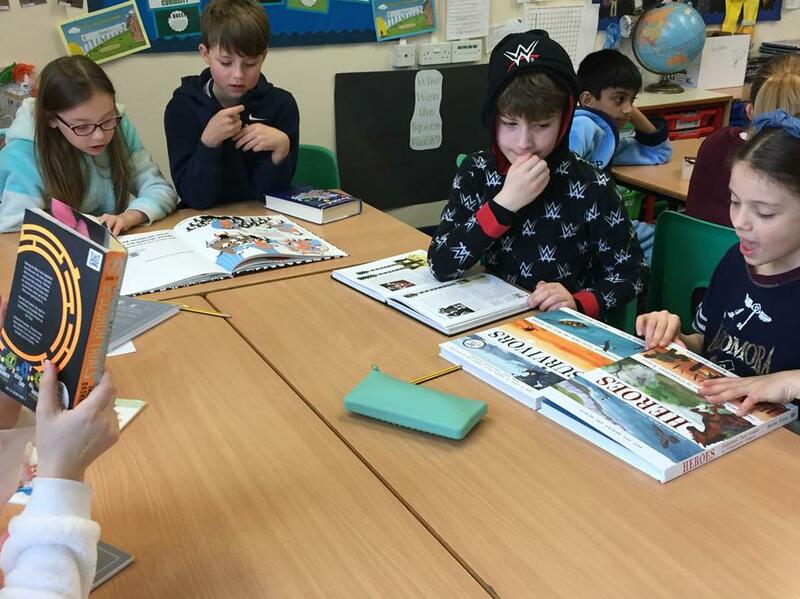 In Literacy, we got stuck into reading our class book, The Explorer, and used it to generate ideas for using modal verbs. Place value, and ordering and comparing numbers were on the menu in Maths. We continued practicing our hockey skills and, despite the rain, we managed to get out to play some Paceball. 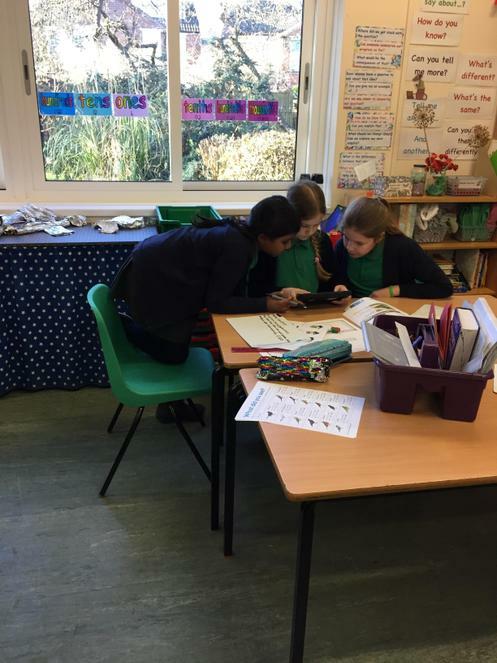 In Science, we created leaflets to show what we have learnt about the lifecycles of butterflies and continued to make observations on our caterpillars; Class 9’s creatures have already formed their chrysalides and Class 8’s and 7’s are not far behind. 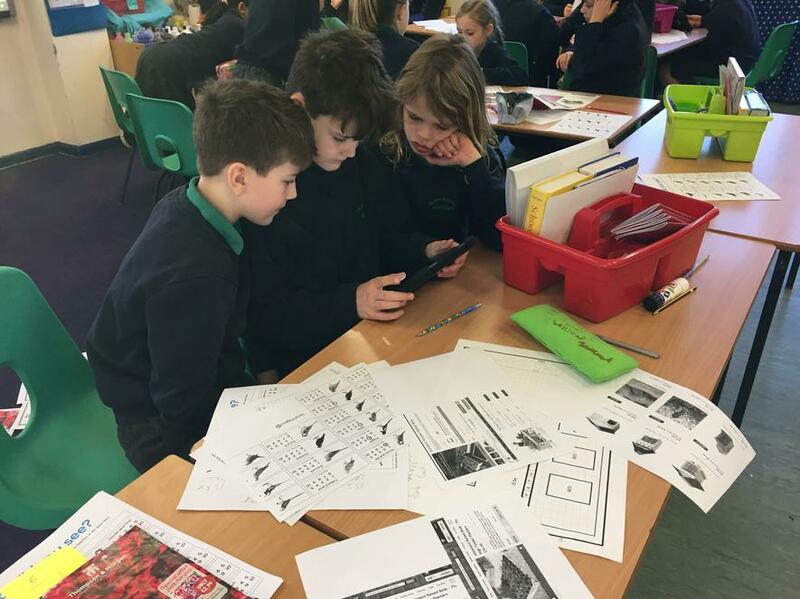 We have been amazed by the standard of the homework which has been brought in about different South American countries and have enjoyed sharing some examples. Congratulations to our Learning Champions this week: Billy, Tristan and Rebecca and to our Amazonian Award winners; Izzy, George L, William T, Leo R, Gabriel and Alex. Great work, everyone! We’ve made it to the end of our first full week back. It hasn’t been an entirely ‘normal’ week, however, as we had our special visitors from across the world with us on Tuesday. Steve Scorpion, Gary Gecko, Sally Snail, Maxine Millipede, Carla Cockroach and Sophie Snake, who seemed to be the star turn for many of the children, joined us from Zoolab. Thankfully (especially for Mrs Cox) none of the animals escaped and they returned to their home where they live with Barry, who shared lots of fascinating facts with us all. Alongside this experience, we created watercolour images of the animals chosen for our homework, inspired by the pages of the book The Wonder Garden. In Literacy, we’re working on creating information pages to display beside our paintings. There were more animal encounters during the week as we continued to monitor our caterpillars – they’re growing rapidly and there are early signs of the silk threads from which the chrysalides will form. Using iPads, we have researched the life cycles of butterflies in readiness for making a leaflet next week. In Maths, we focussed on place value and this will continue next week. We have started music lessons with Mrs Blackburn and practised our hockey skills in PE. We elected our Class Councillors for the year; many congratulations to Andrea, Beth and Joe who were chosen as our representatives. It was also the first week for our school and year group rewards. Well done to Elsie, Lucas and Lottie, who were our Learning Champions, and to Olivia, Rufus, Saumya, Tabitha, Connie and Arthur, who became the first recipients of our Amazing Animals Awards. Keep up the good work! P.S. Can anyone tell me why some of the words are in red this week? 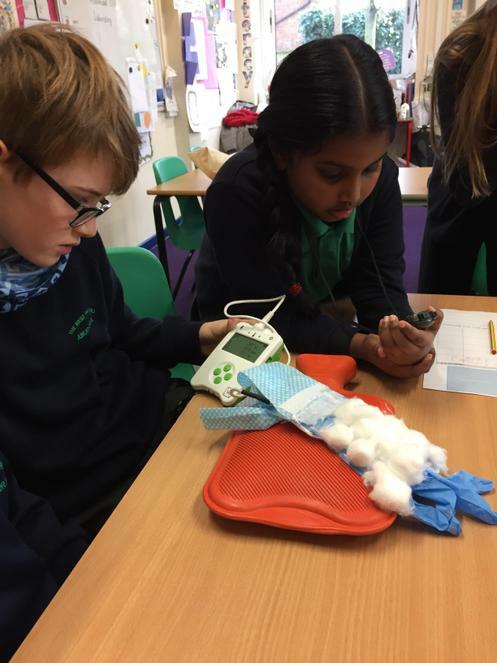 Hello and welcome to the Year 5 blog page! We shall endeavour to update this page each week with news of our goings on at Cottages! It's been a good start back for all of us; school officially started on Wednesday and we launched straight into our topic for this term - Amazon Adventures. Having spent the morning finding our seats, writing our class promises and generally getting our bearings, the afternoon was spent in South America! Well, ok, that's not entirely true but we did try to bring a little of the continent to West Bridgford. With Mrs Green, the children listened to samba music whilst designing a carnival costume. With Mrs Cox, they heard sounds and saw images from the rainforest and wrote vocabulary it evoked, ready for display. Finally, with Mrs Moss, the children found out where chocolate (hmm... chocolate) came from and had the chance to try some interesting hot chocolate. We started our Paceball lessons on Thursday and began our Literacy lessons with some vocabulary work. We created Christmas cards, (yes, we said Christmas and yes, we know it's only September!) too. 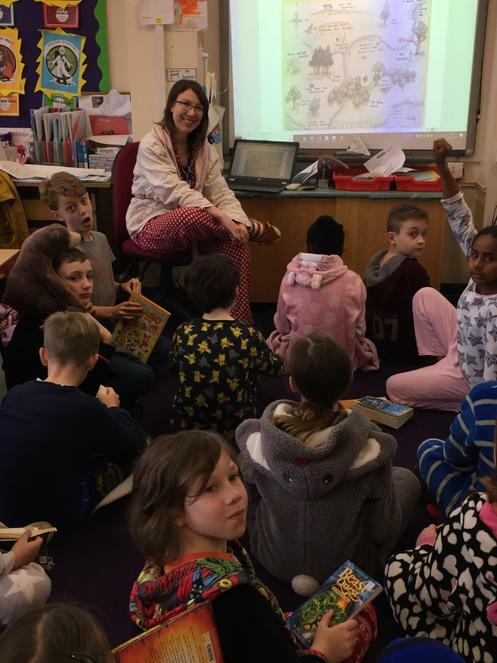 The children found out about the rewards they can earn in Year 5 and began learning about South America in their first Geography lesson. Next week, we begin our Maths lessons on place value, start our hockey lessons and will meet some usual visitors during the week! Have a good weekend. If you're going to see the Tour of Britain, wrap up warm and give the riders a wave from us all!